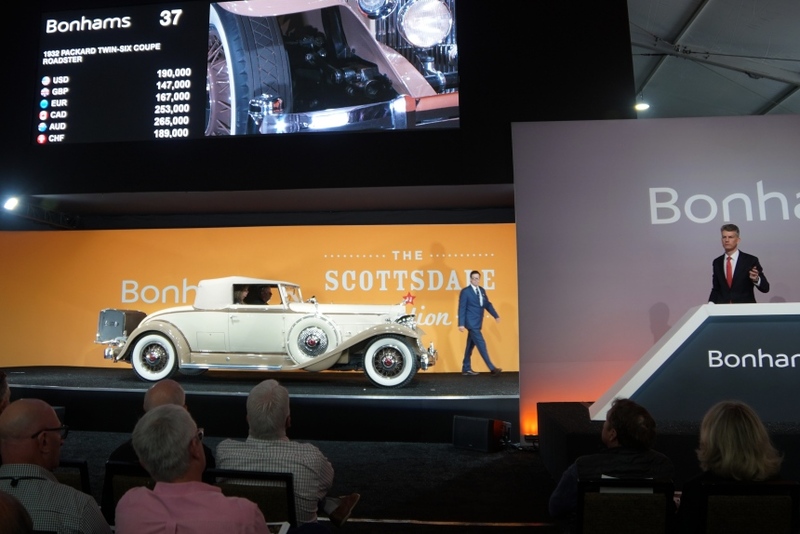 Every January, the Phoenix area becomes the center of the collector car world, as no fewer than seven auction companies hold sales during Arizona Car Week. 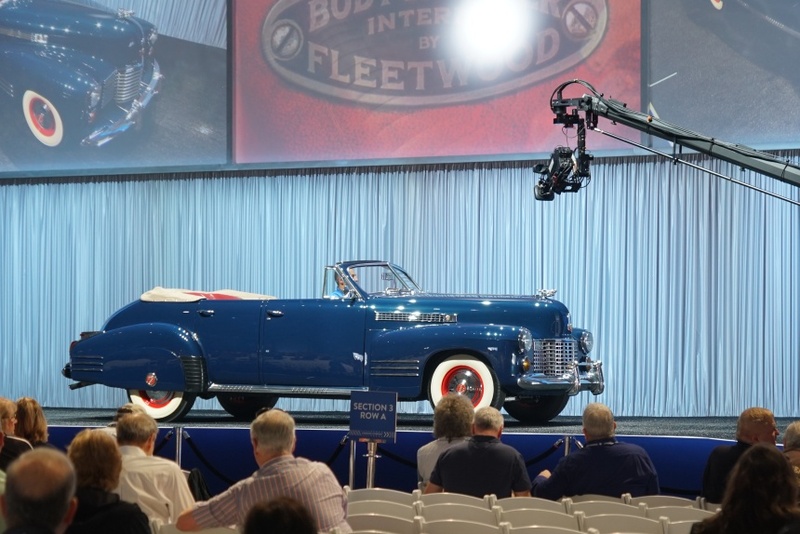 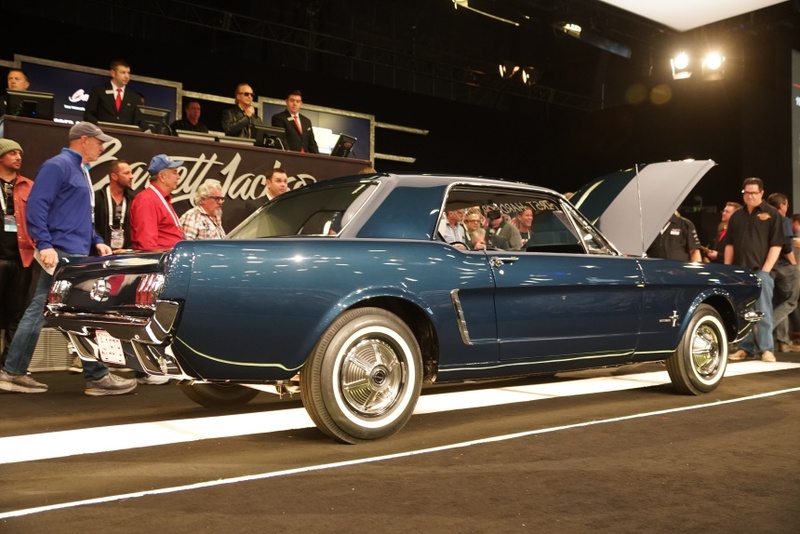 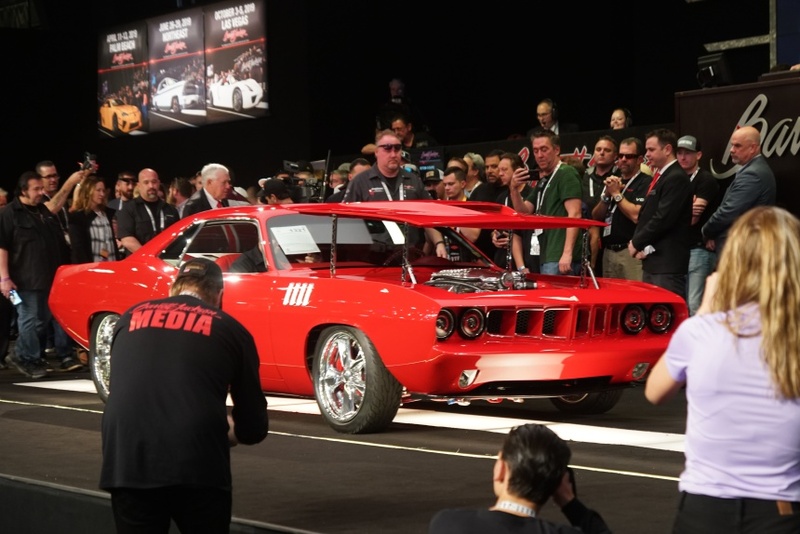 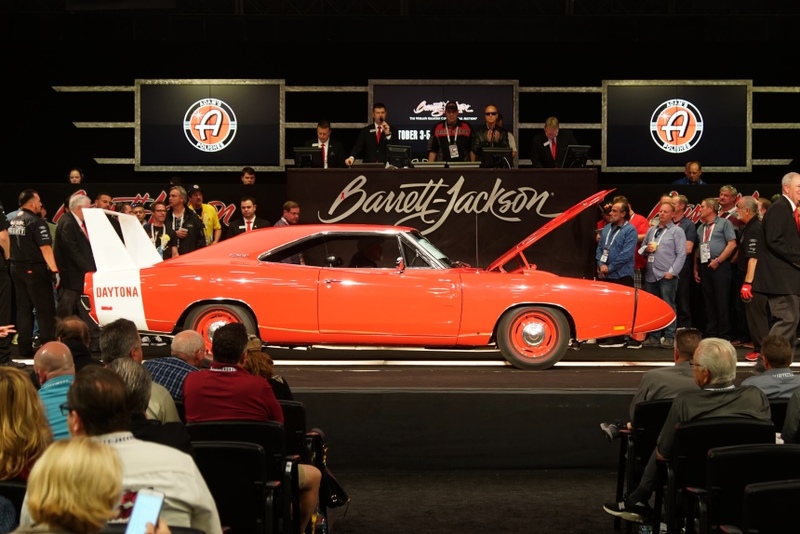 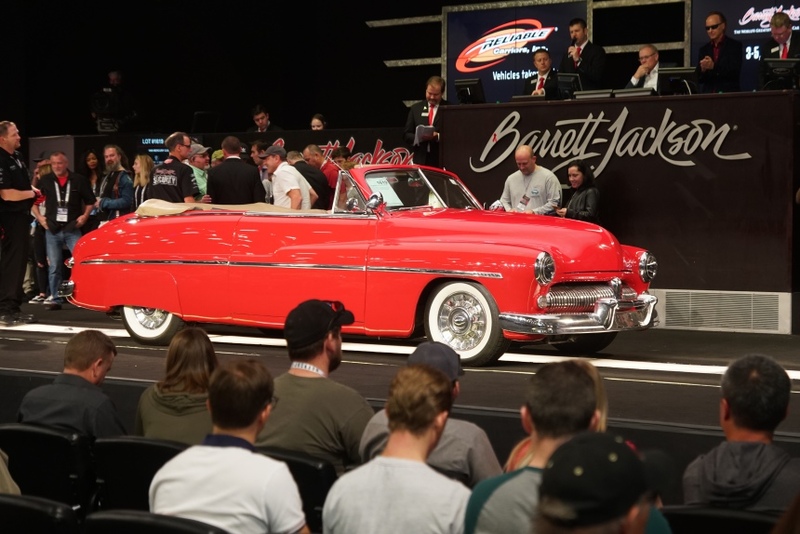 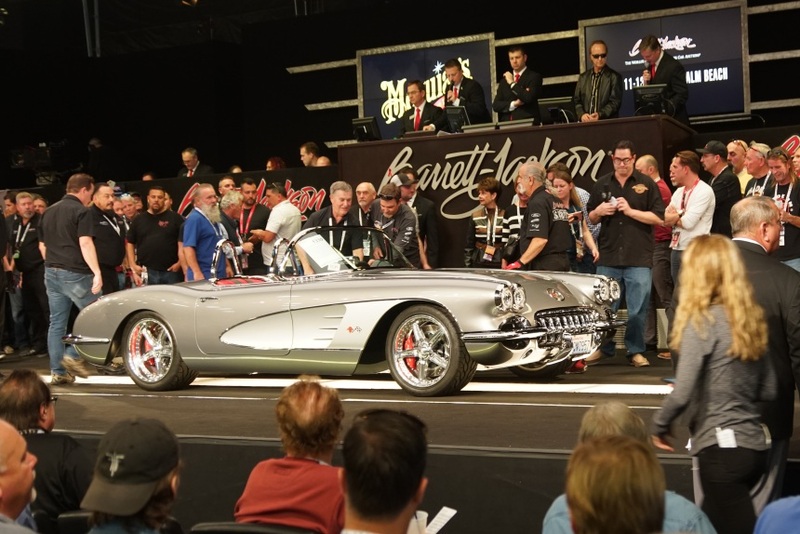 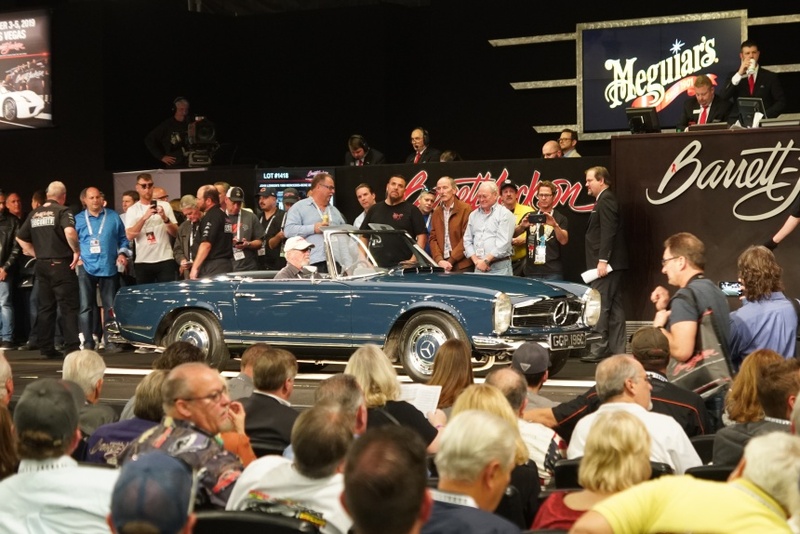 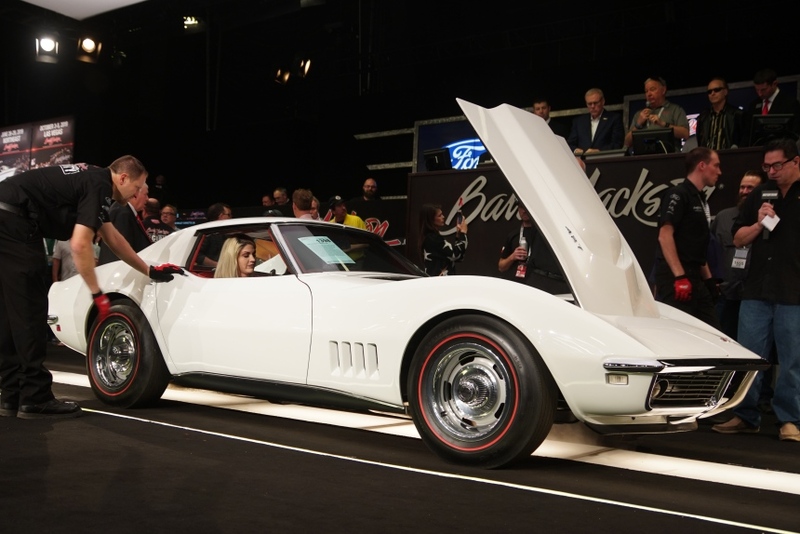 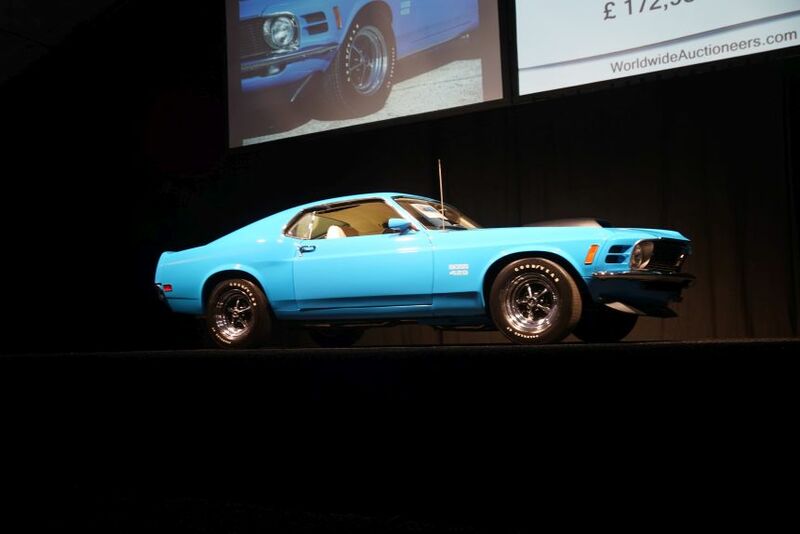 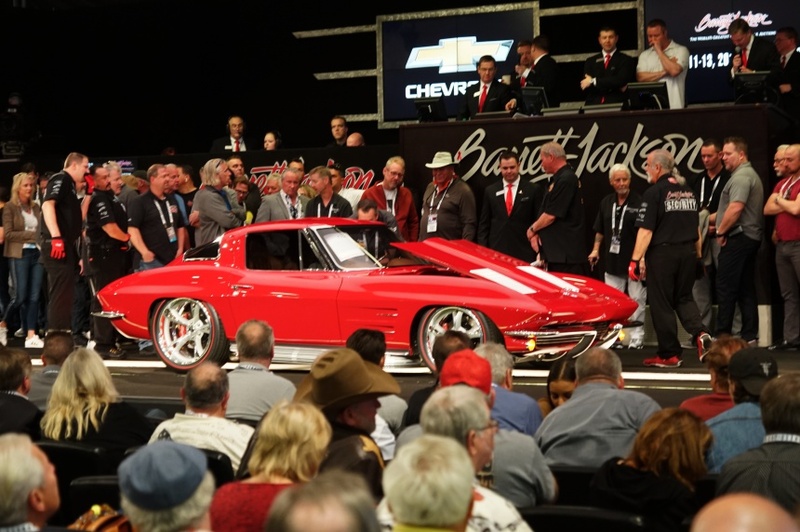 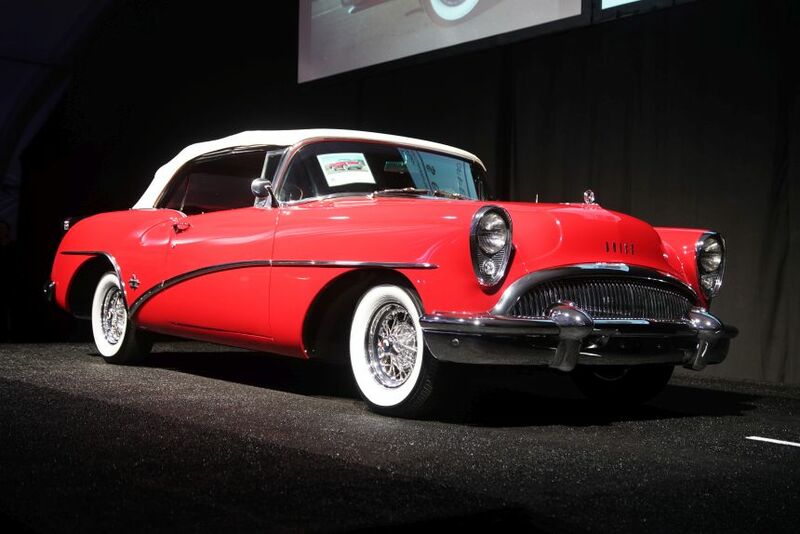 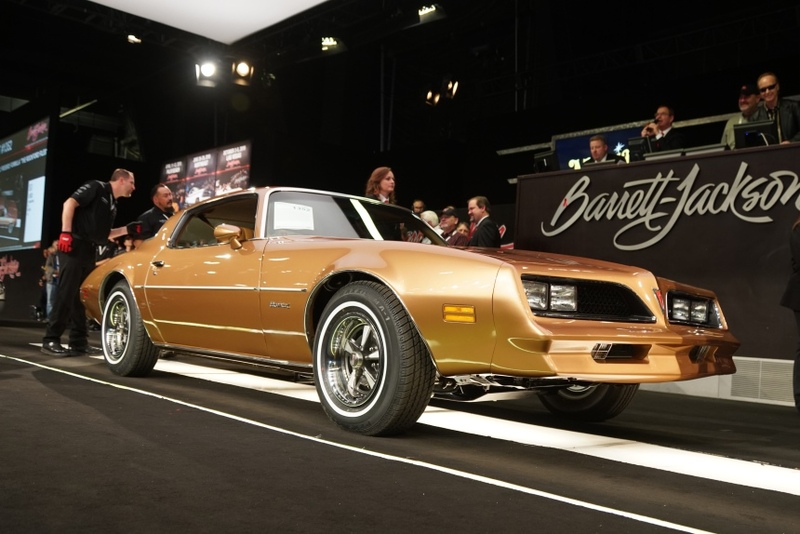 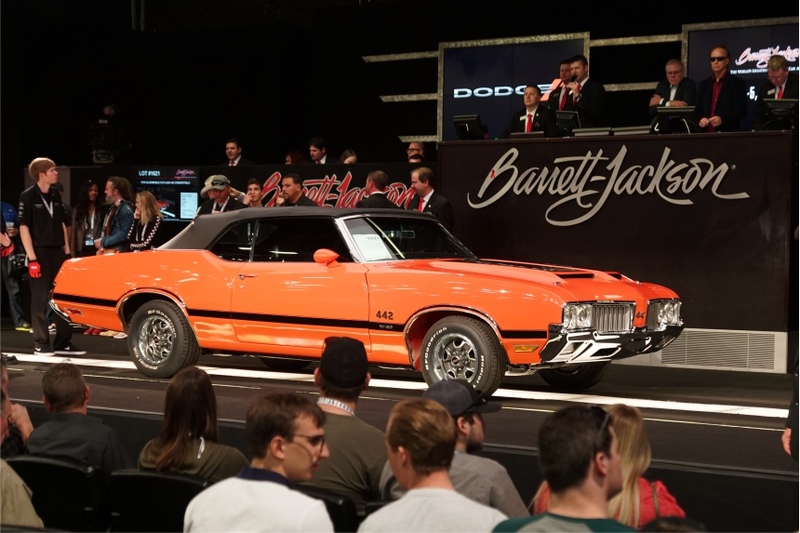 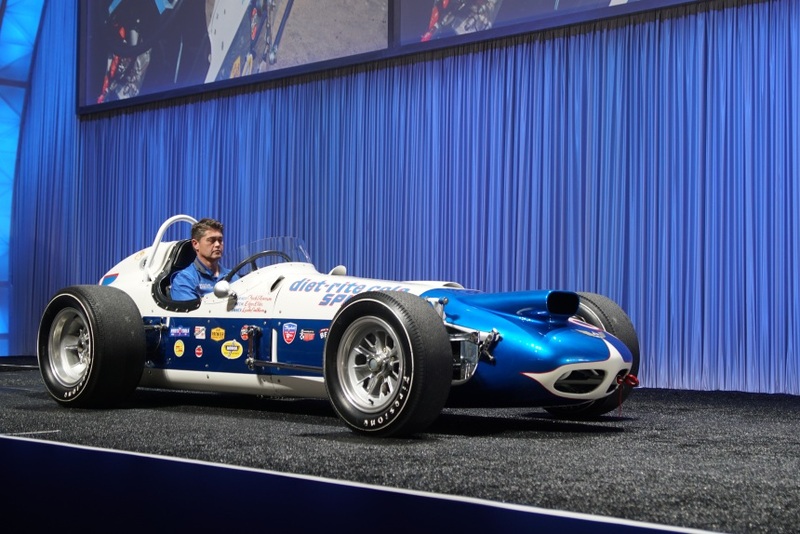 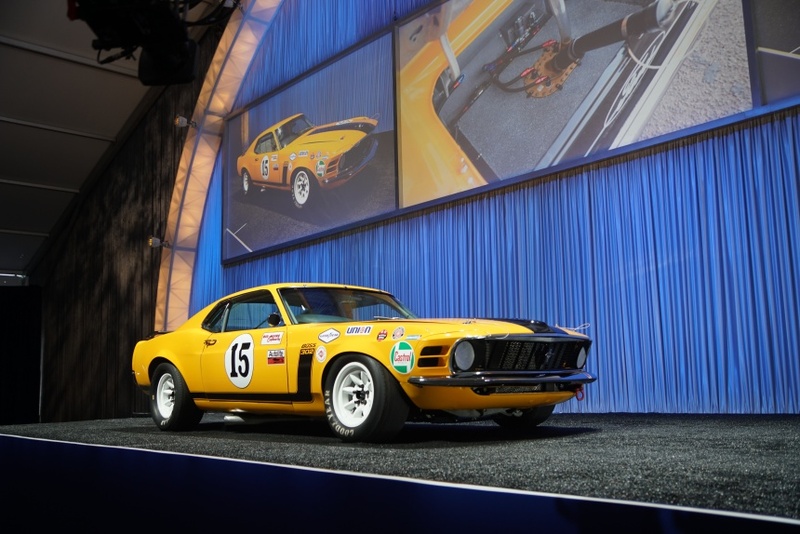 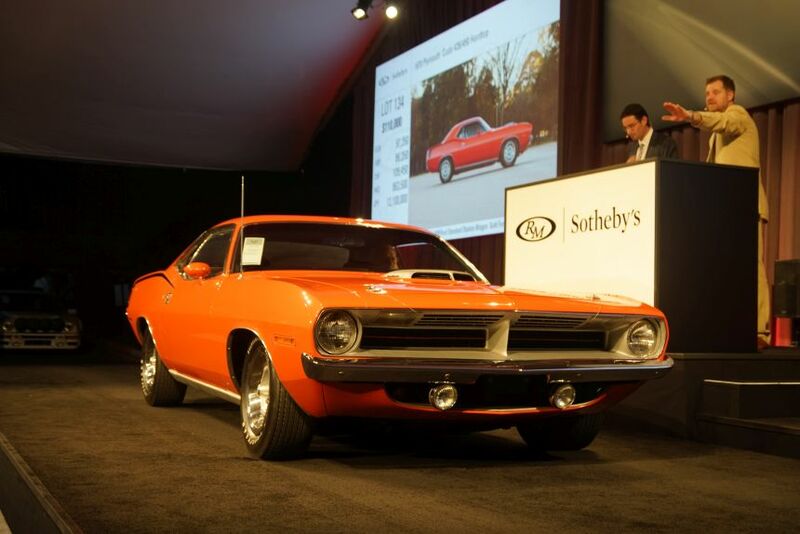 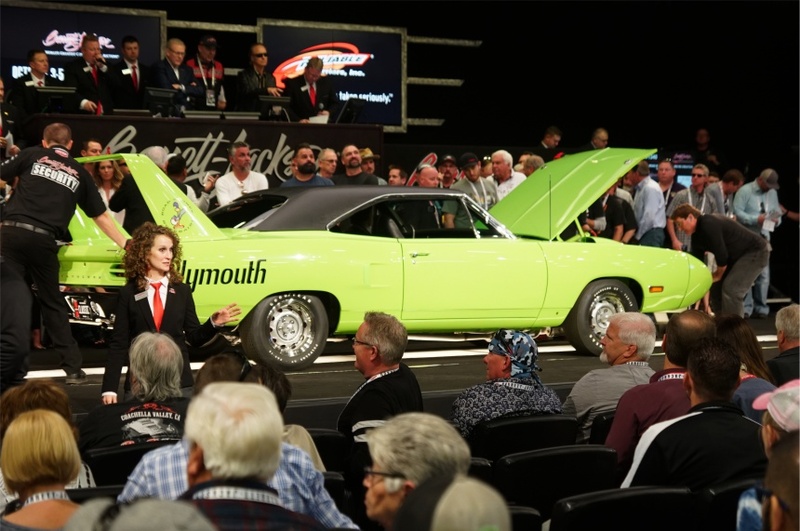 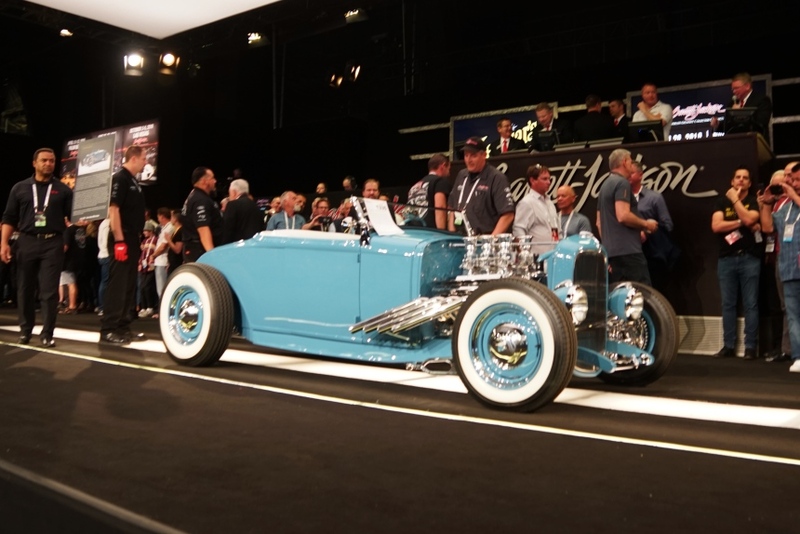 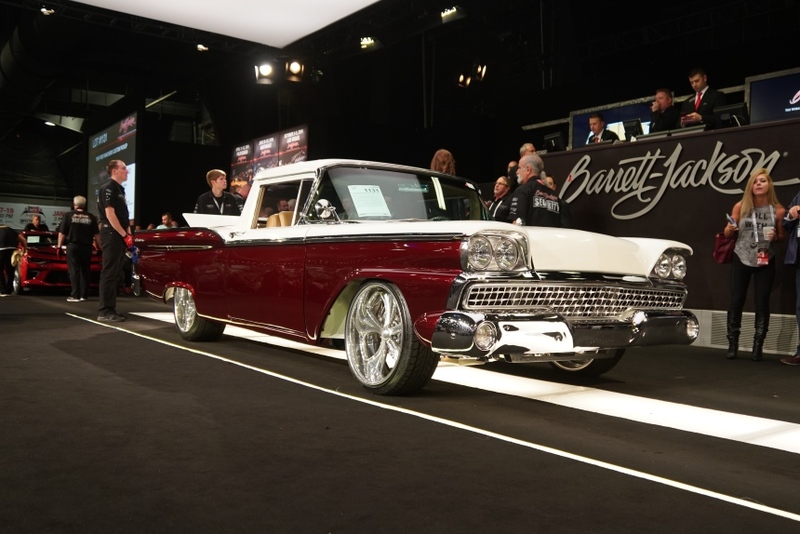 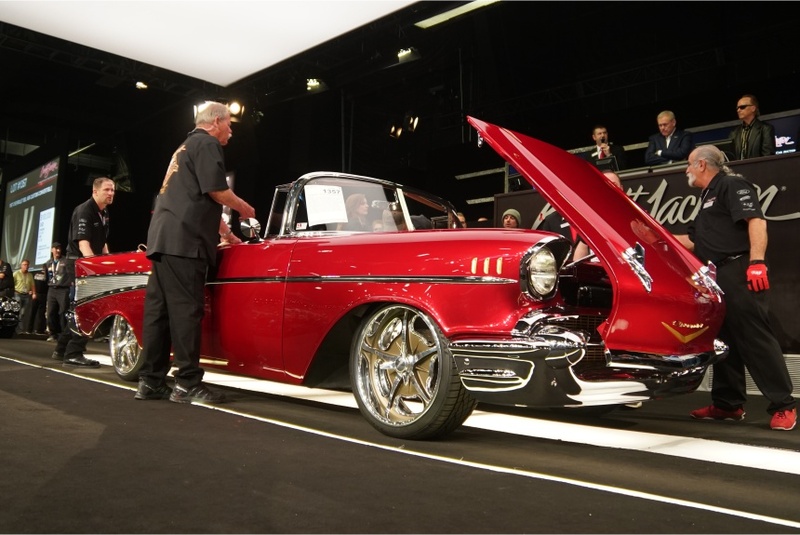 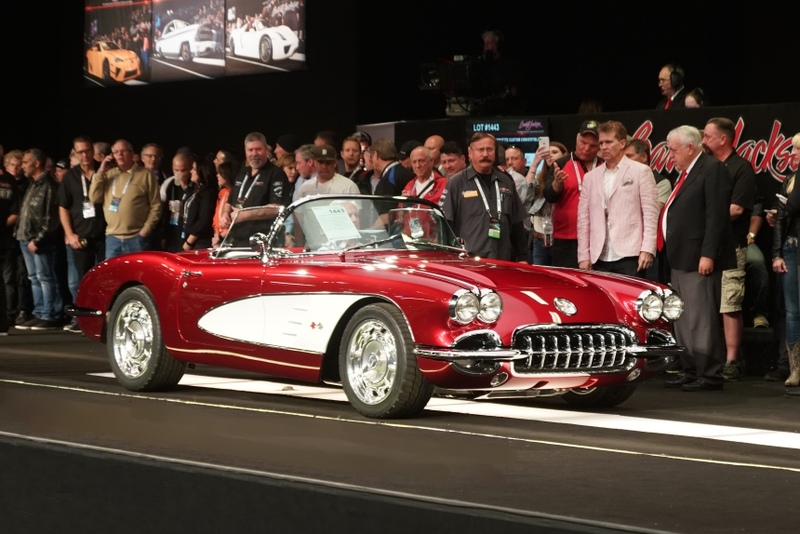 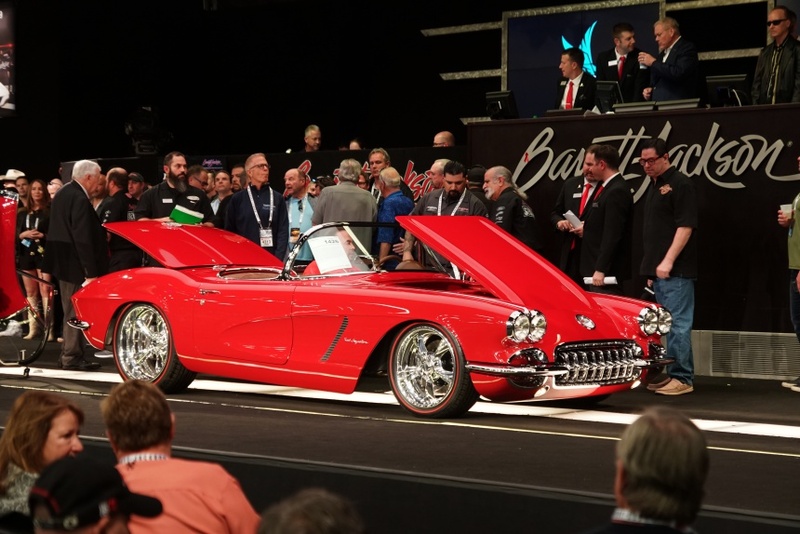 With thousands of classics, muscle cars, exotics and customs up for auction, it is one of the best cars shows imaginable, and for those who’ve always wondered what a specific car is worth, with the fall of the gavel, that question is quickly answered. 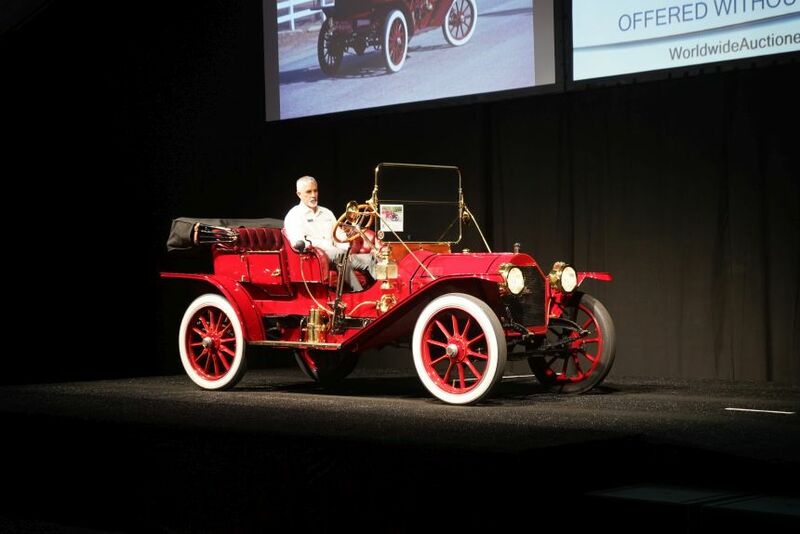 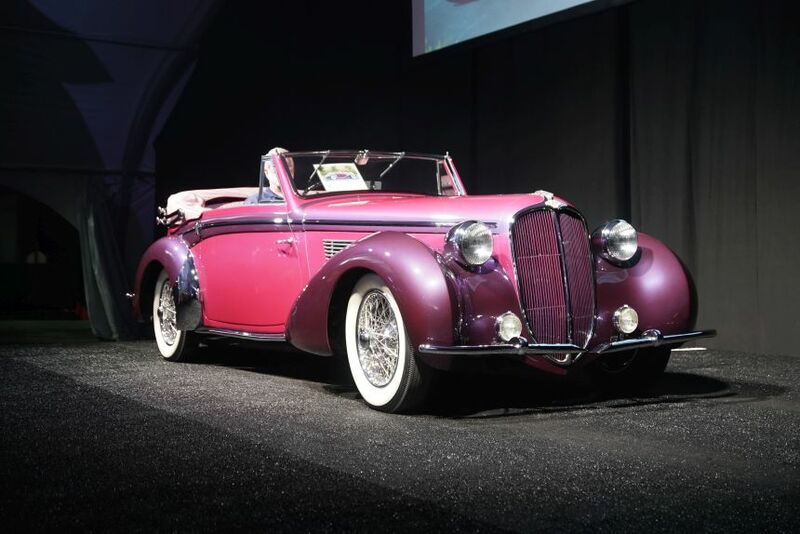 For the classic car junkie, this celebration of cars is what dreams are made of, regardless of whether you’re attending as a spectator, buyer, or seller. 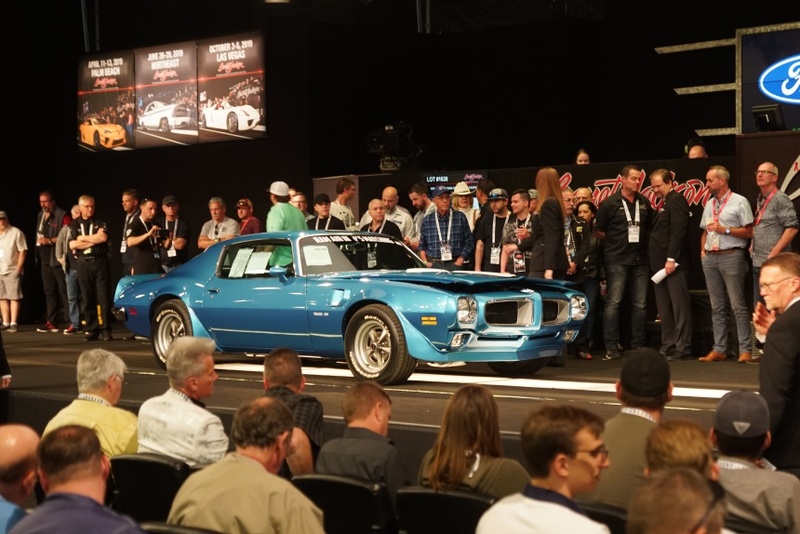 So, if you weren’t able to attend this year (or if you did, but you haven’t had your fill of classic cars yet), we cruised around the Valley of the Sun to catch five of the major auctions. 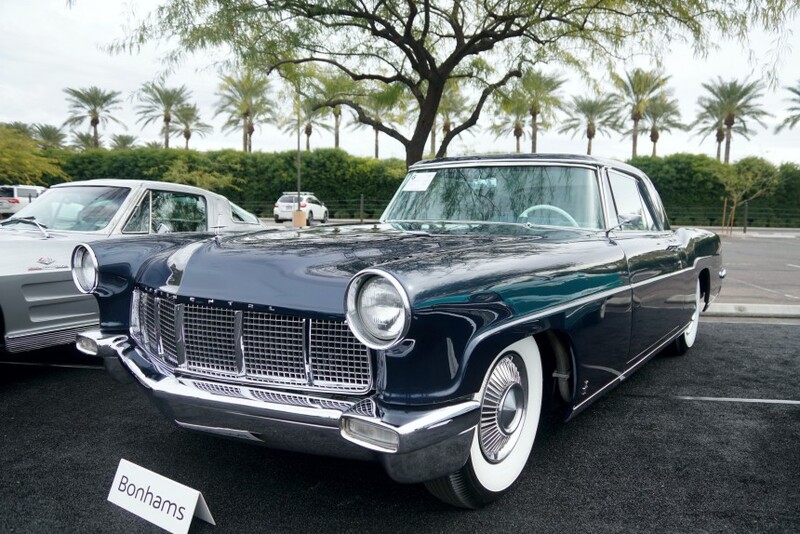 No admission tickets or bidding paddles are required – just sit back and imagine what fun you could have with some of these beauties. 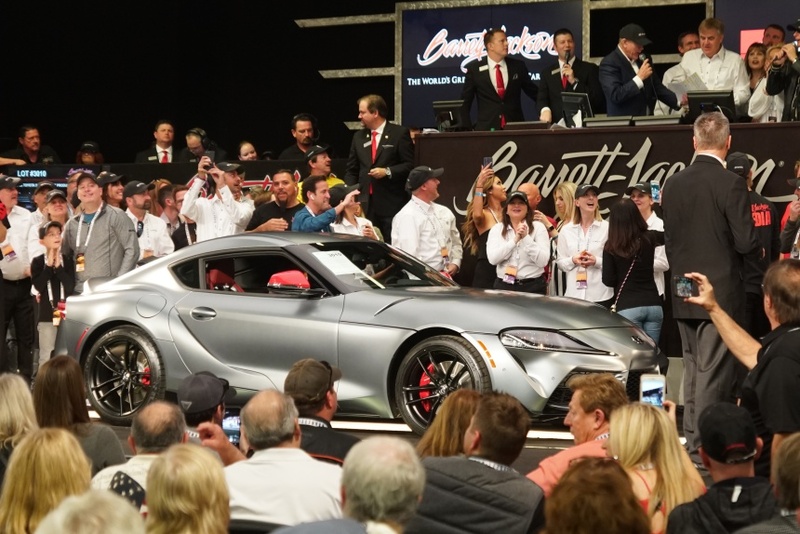 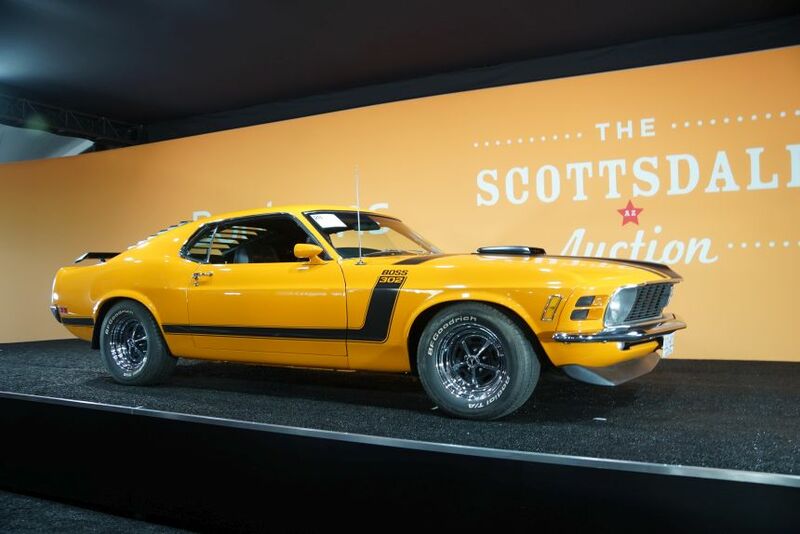 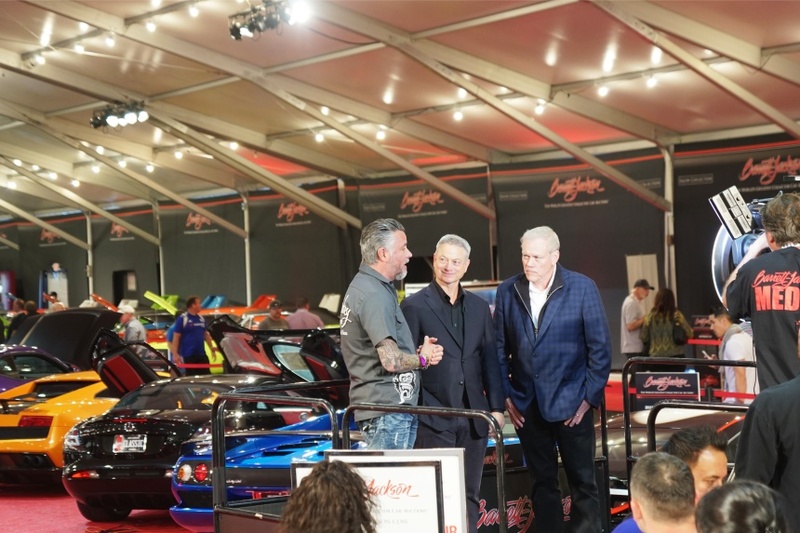 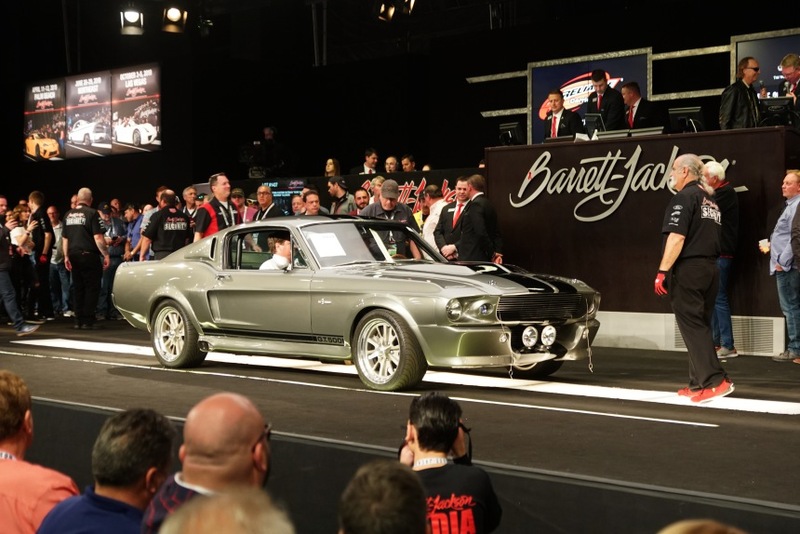 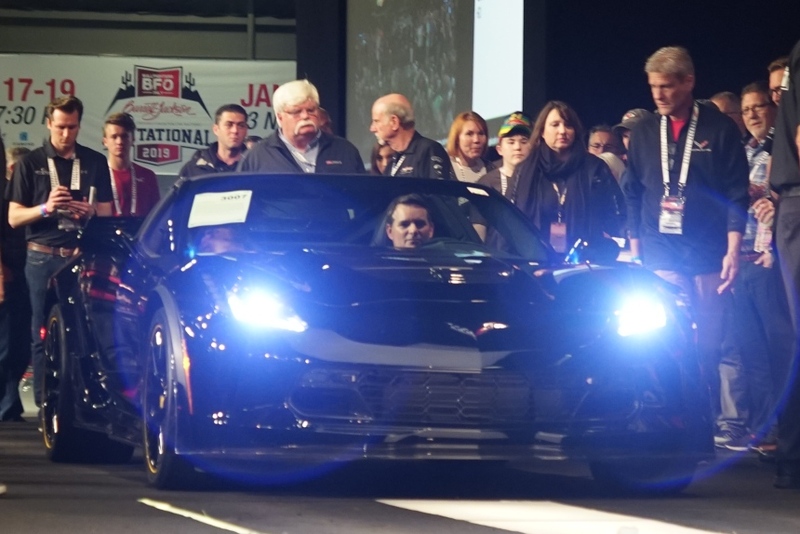 Barrett-Jackson is the one that started it all (48 years ago), and it is the hottest ticket in town. 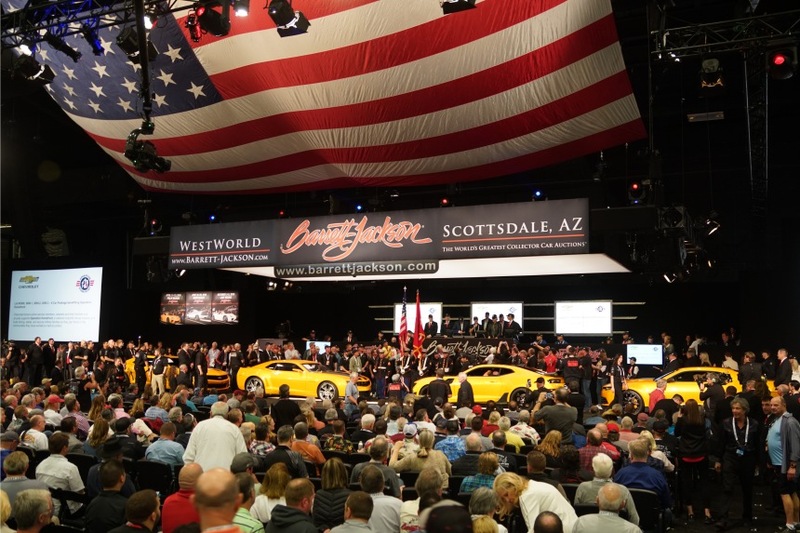 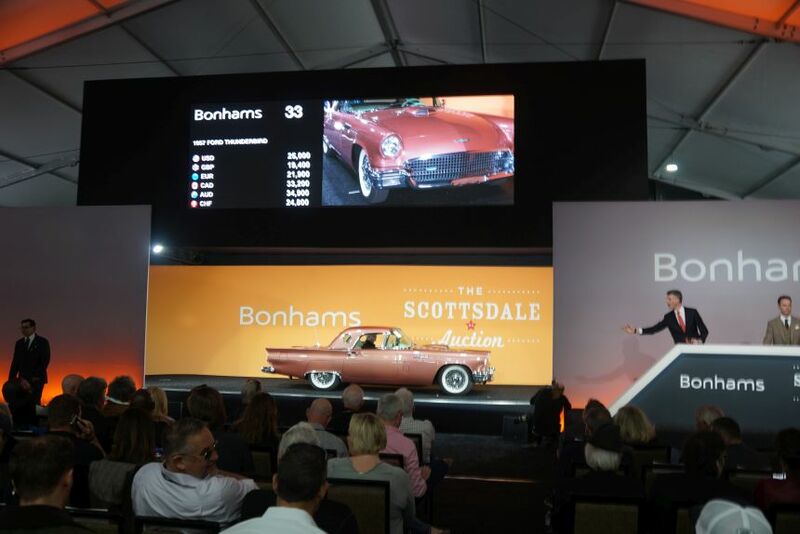 As well as providing high-octane action on the auction block, this nine-day event in Scottsdale is known as a life-style event, featuring a diverse array of outdoor and indoor activities, and plenty of food and adult beverages. 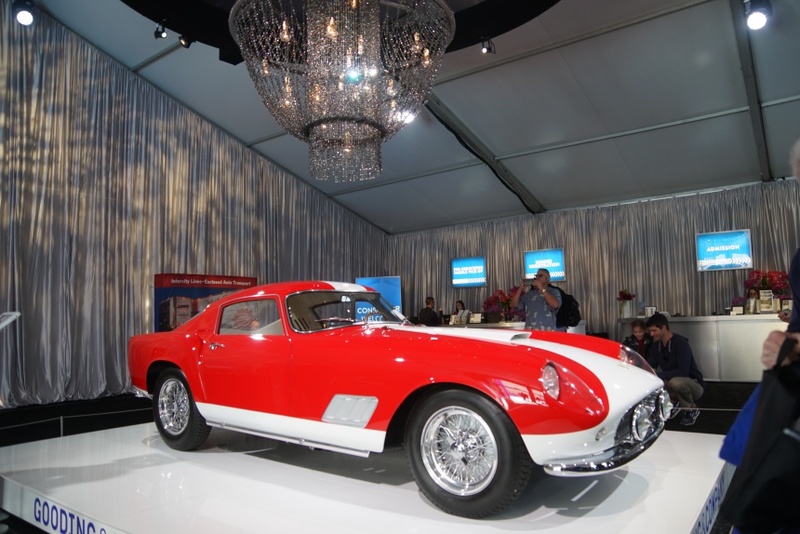 Now, add the celebrity and TV/movie star car appearances, and you have an event that should be on everyone’s bucket list – a true party in the desert. 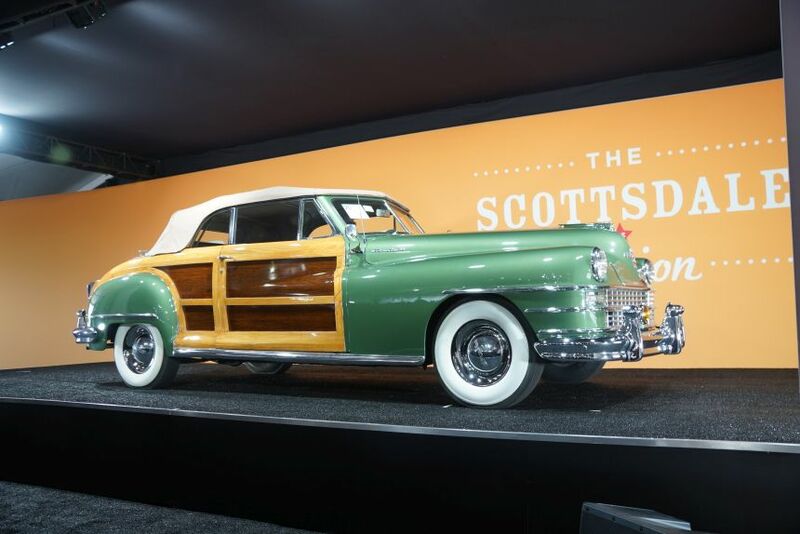 Here are highlights from this year’s show. 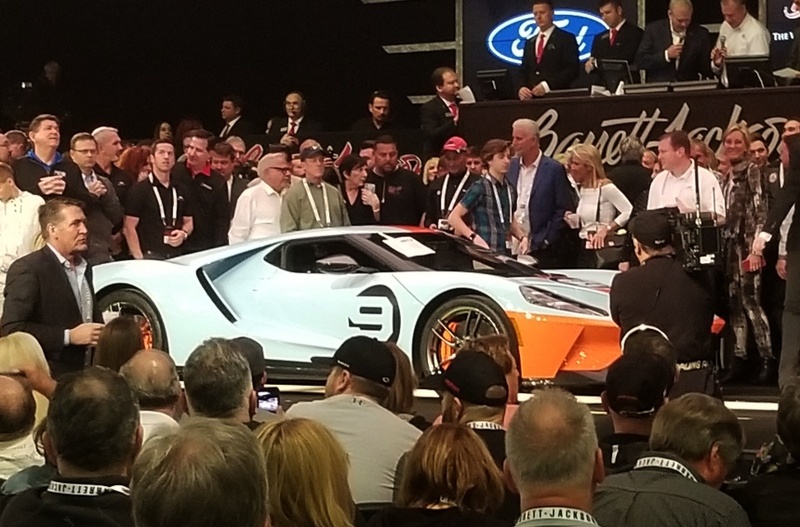 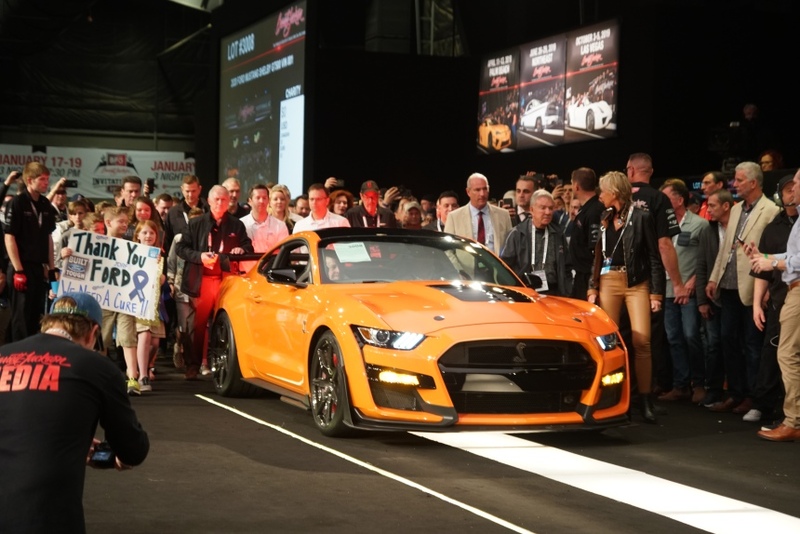 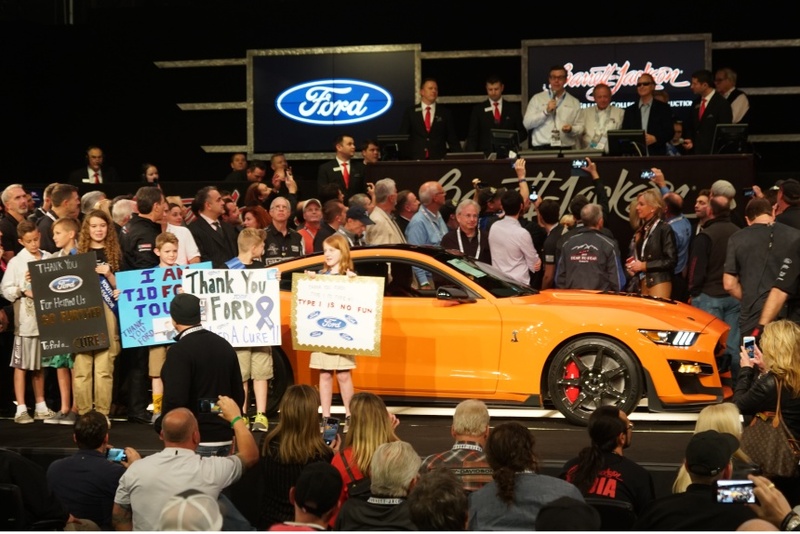 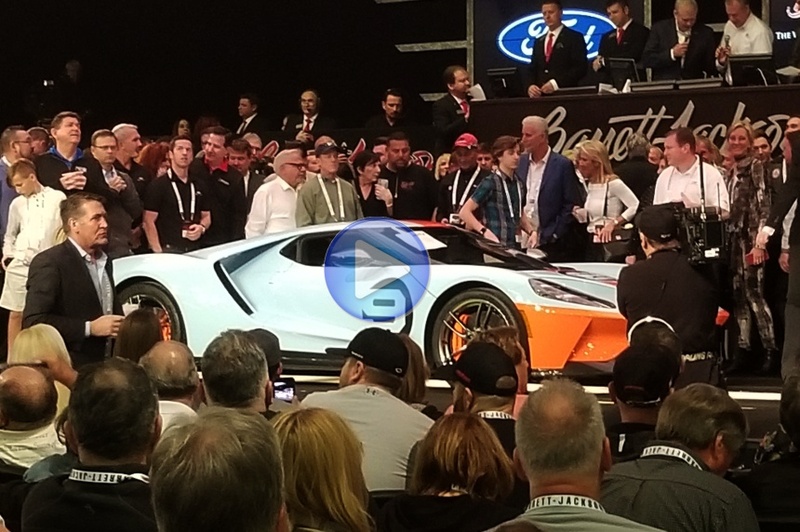 Ford, celebrating their remarkable string of four consecutive Le Mans victories, auctioned off a the 2019 Ford GT Heritage Edition, VIN 001. 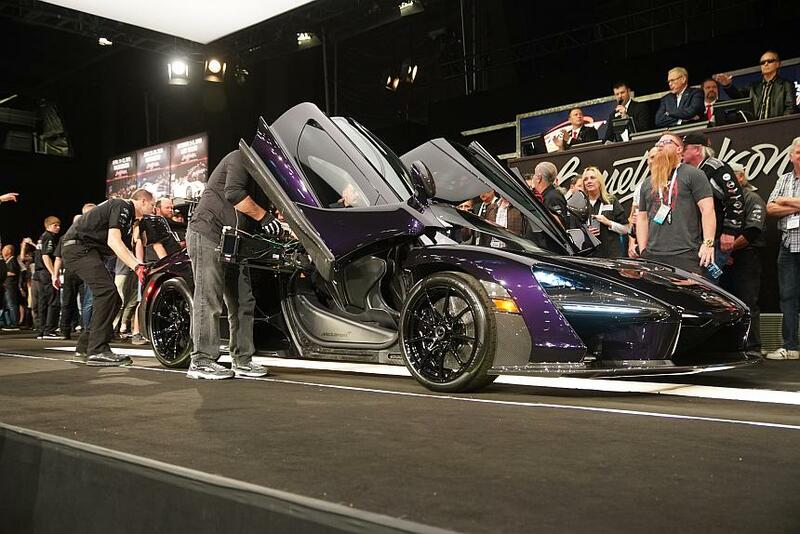 This optional package GT features a unique serialized identification plate, exposed matte carbon-fiber door sills, air register pods and center console. 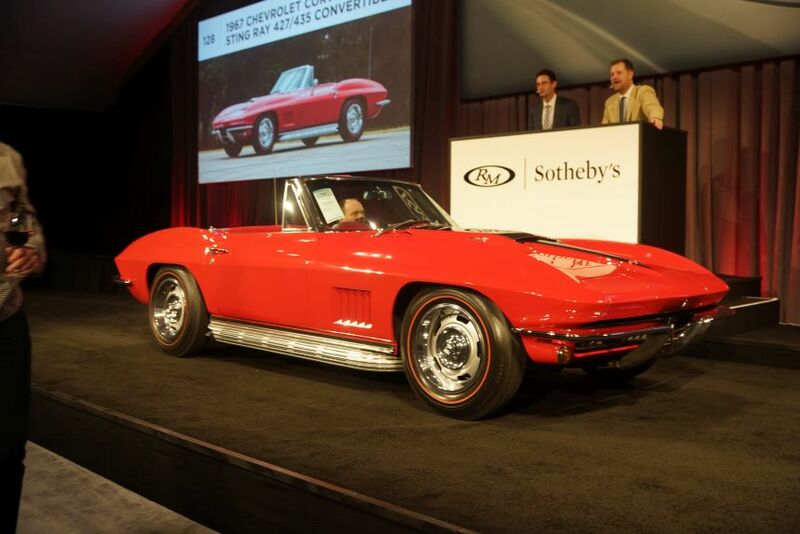 All proceeds ($2,500,000) were donated to United Way of Southeastern Michigan. 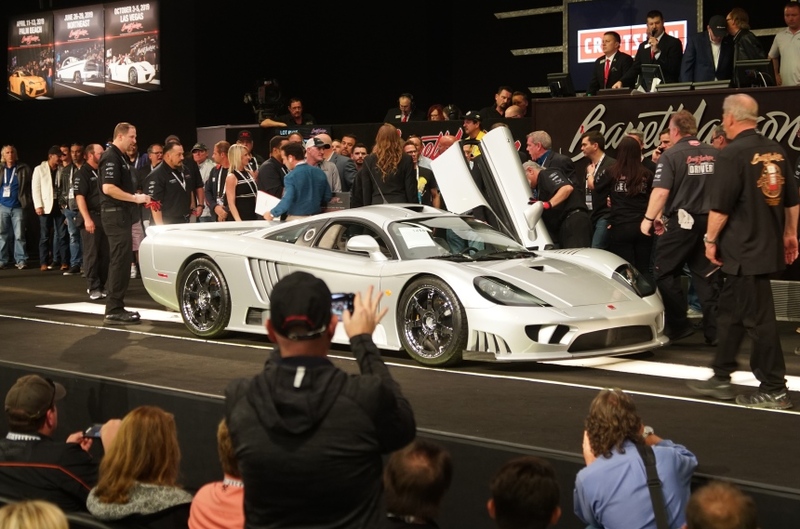 This 2019 McLaren Senna is McLaren’s lightest, and the world’s fastest, street-legal supercar around a track. 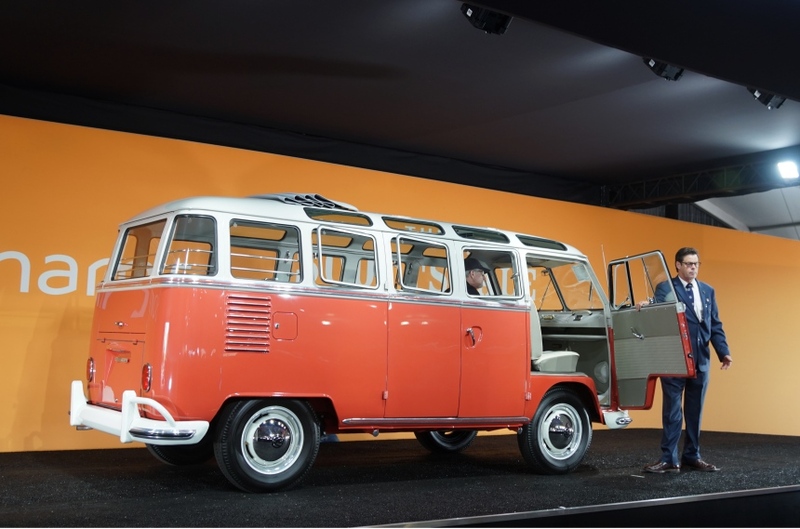 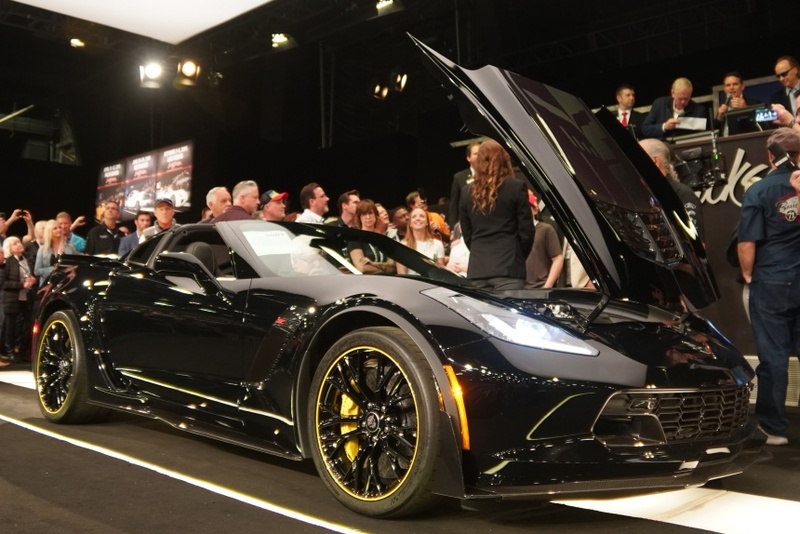 It is serial chassis number 005 out of only 500 vehicles, which have been sold out since their announcement, and is one of approximately 120 in the United States. 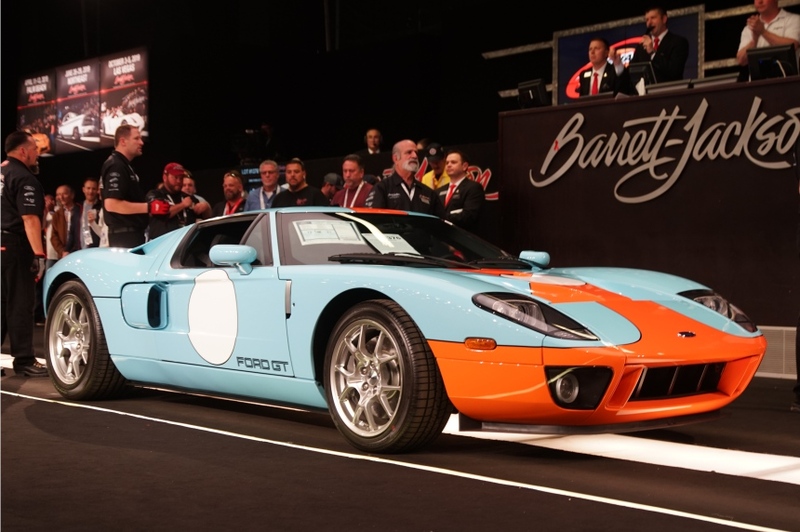 It sold here for $1,457,500. 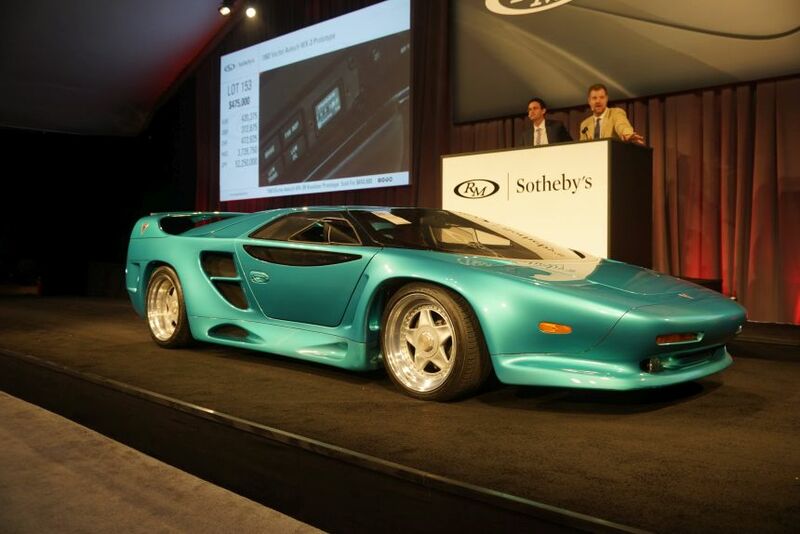 Click on image to right for a full sized look at this Senna. 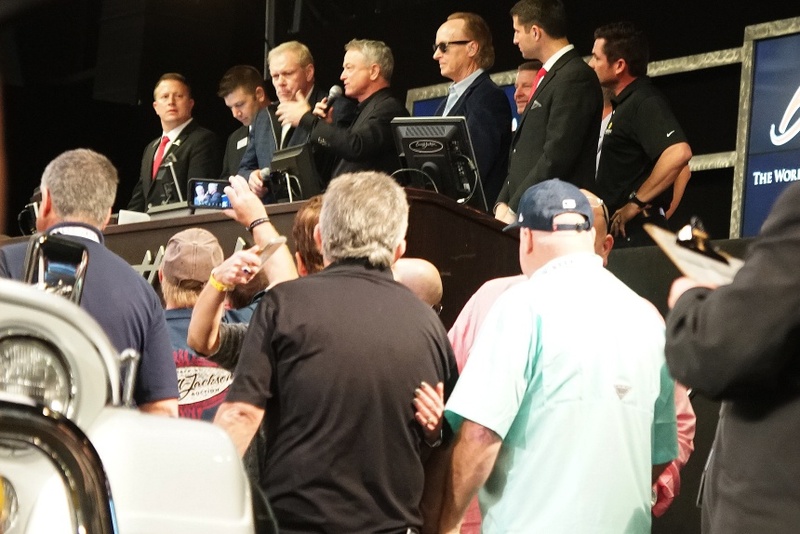 A relatively new auction company, Worldwide Auctioneers is already making themselves known for the personal attention they provide to sellers and buyers, alike. 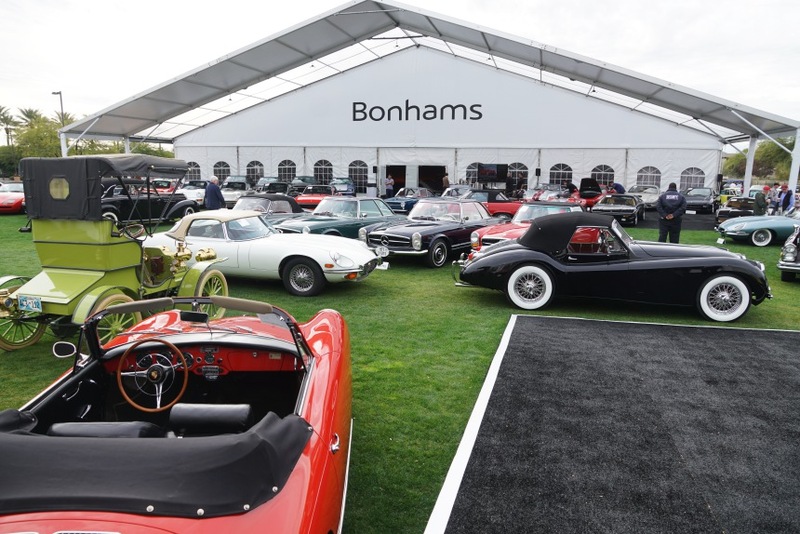 They consign, research, and market, so nobody knows the motorcar better than them. 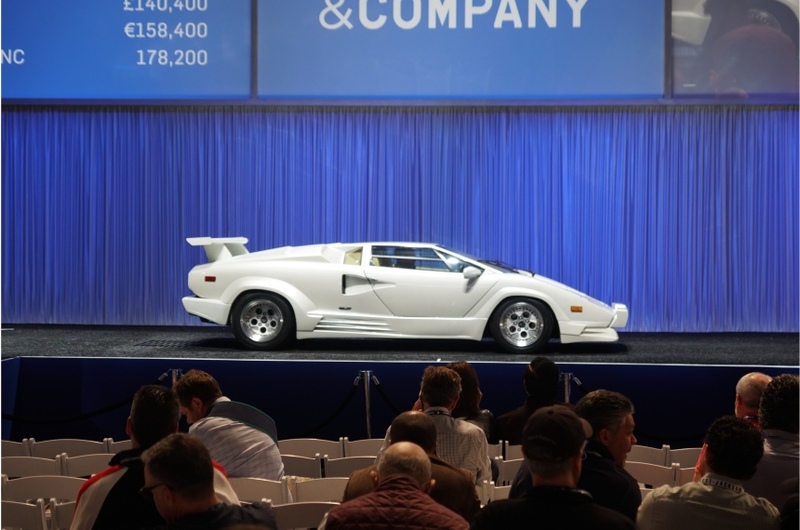 “We don’t limit ourselves to only selling the most expensive cars in the world, but our aim is to ensure that every car that we do consign is the very best of its type,” the company says on its website. 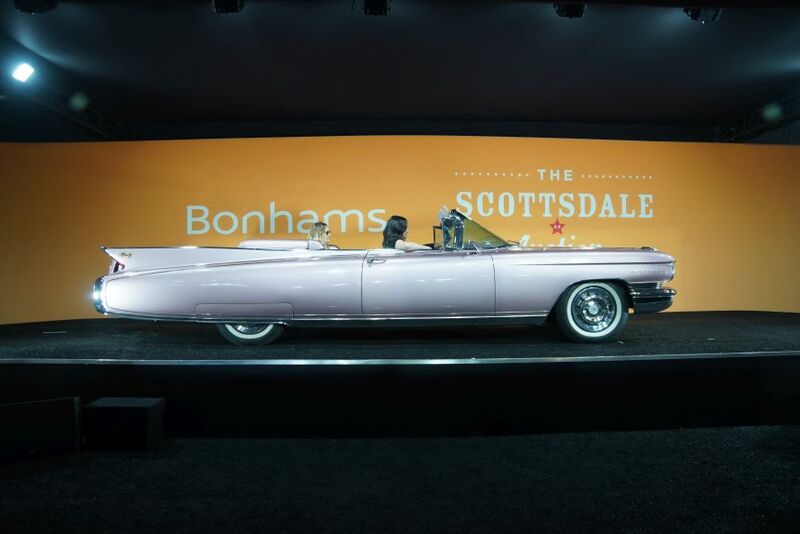 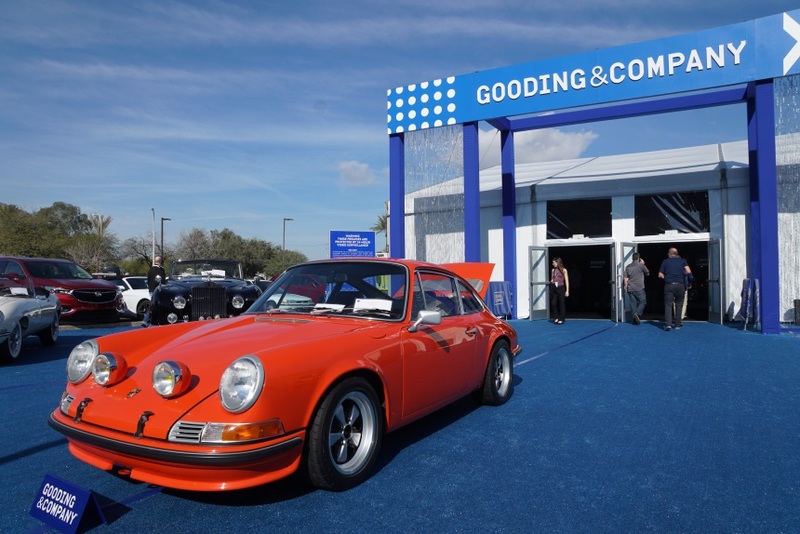 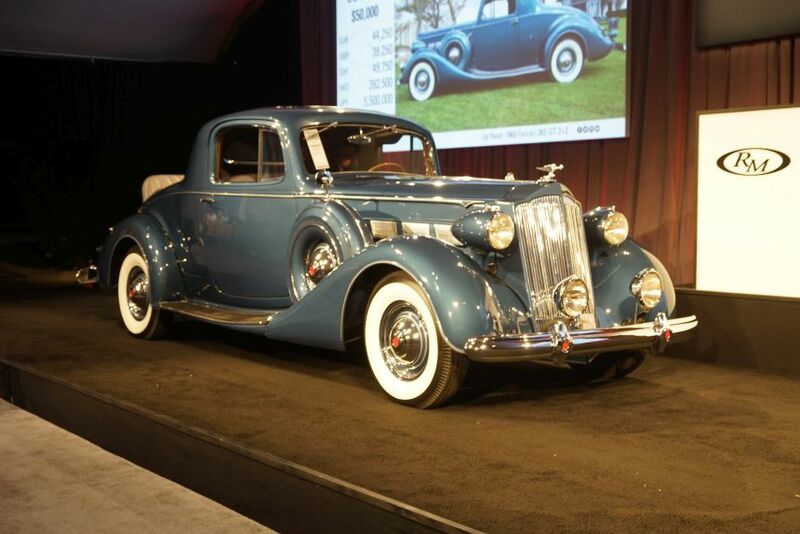 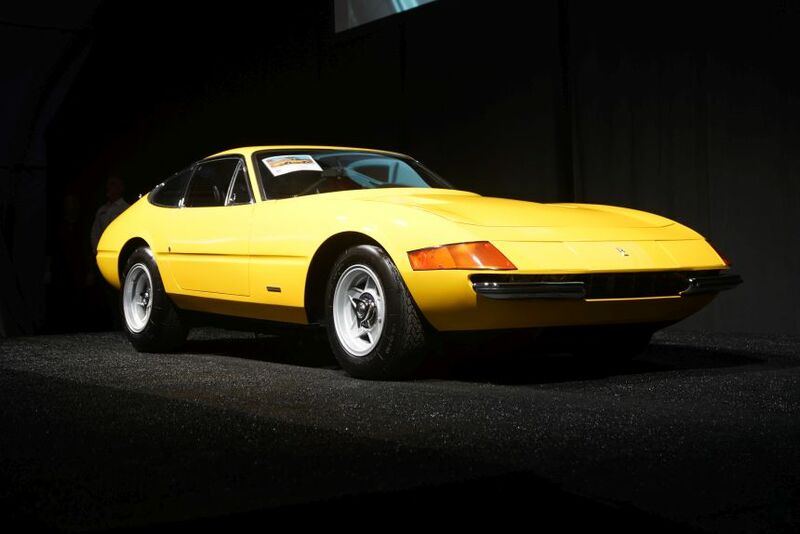 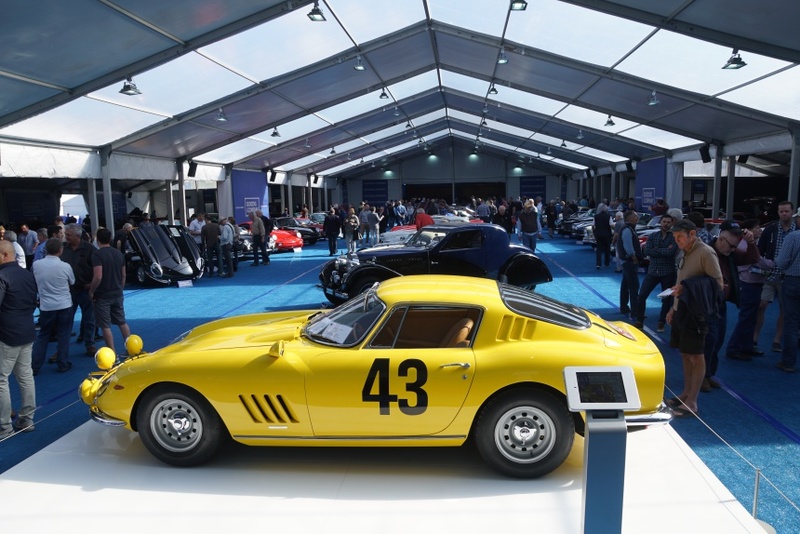 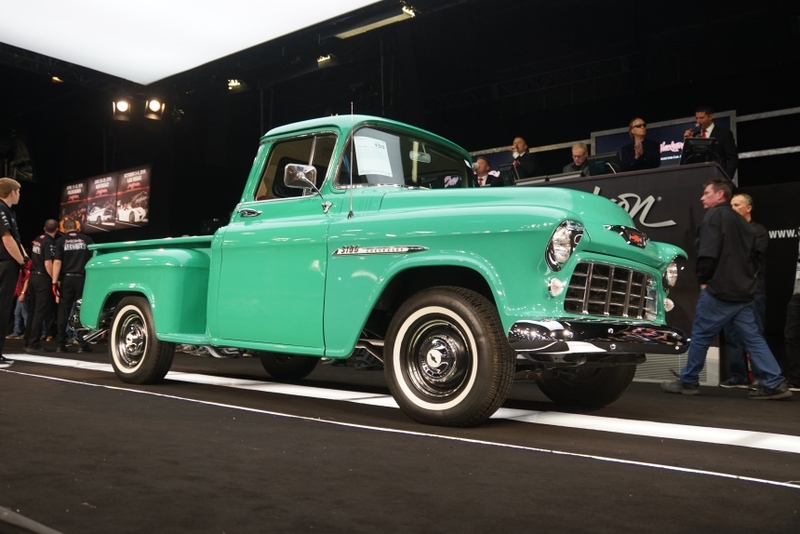 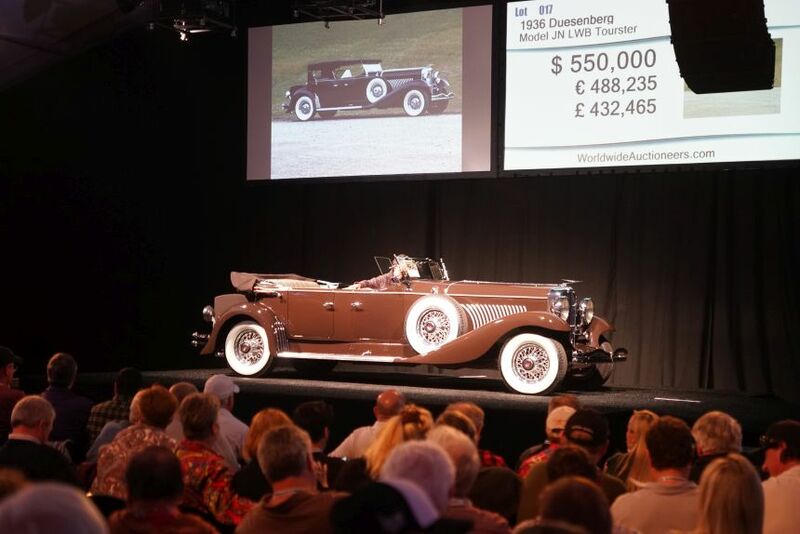 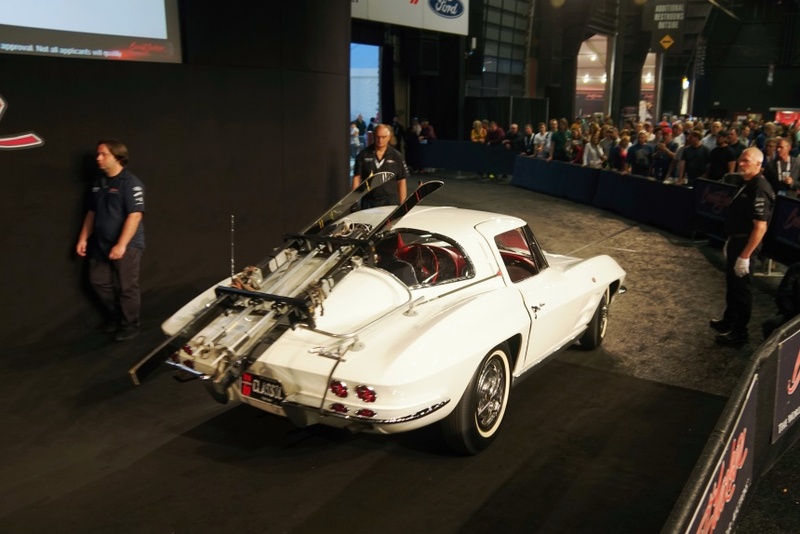 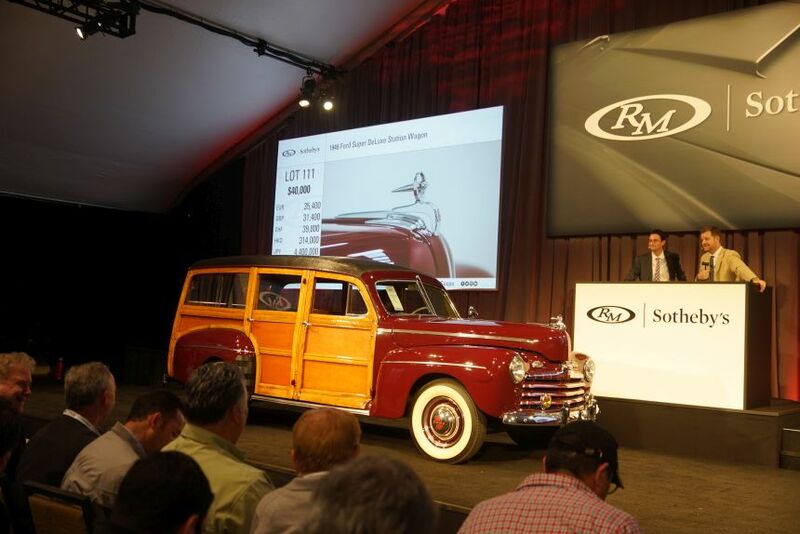 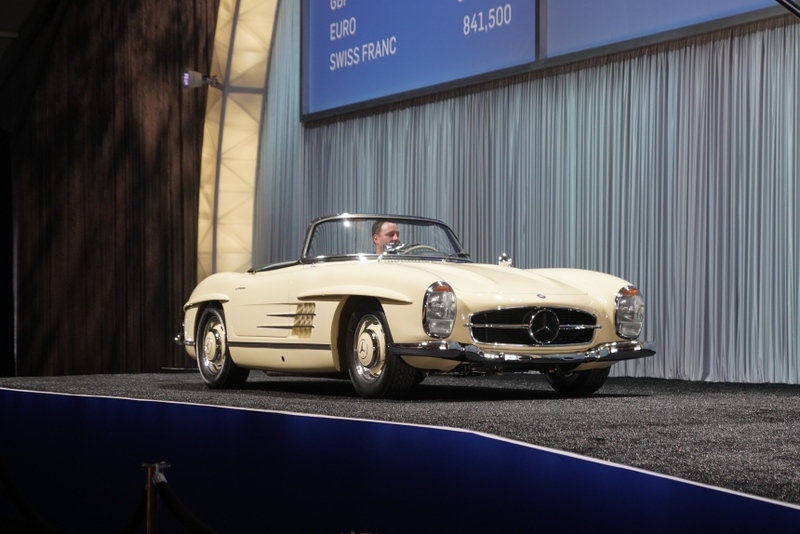 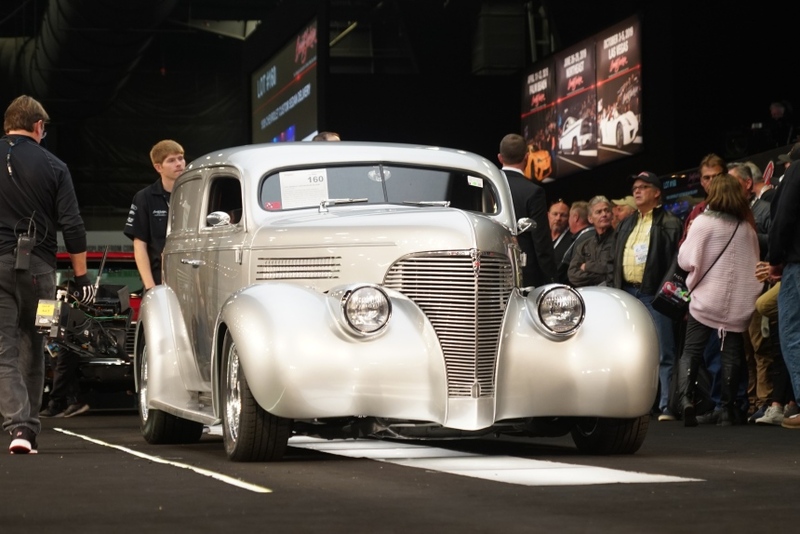 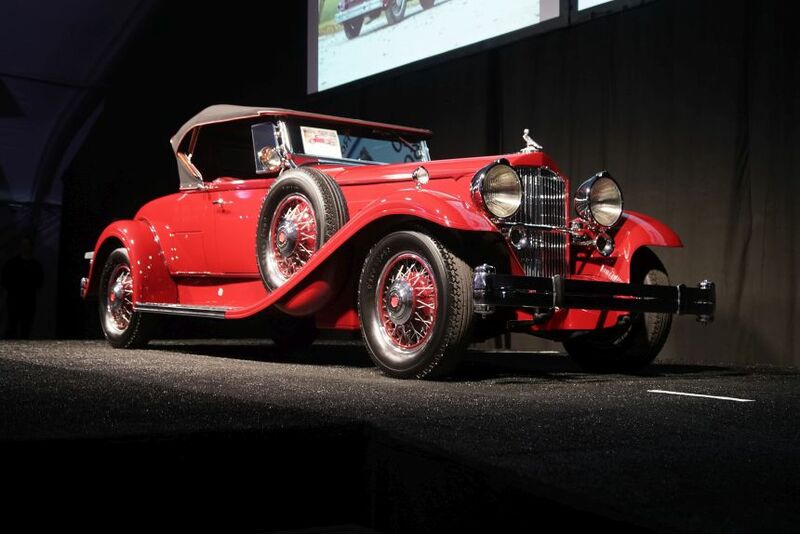 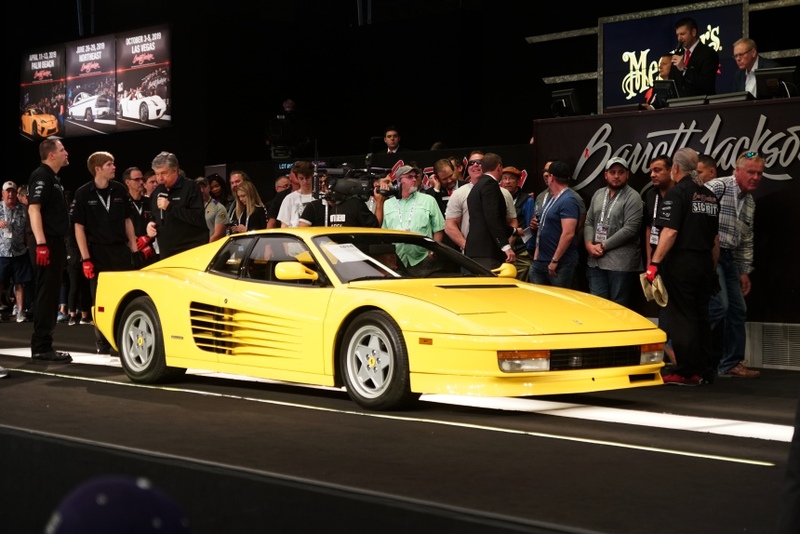 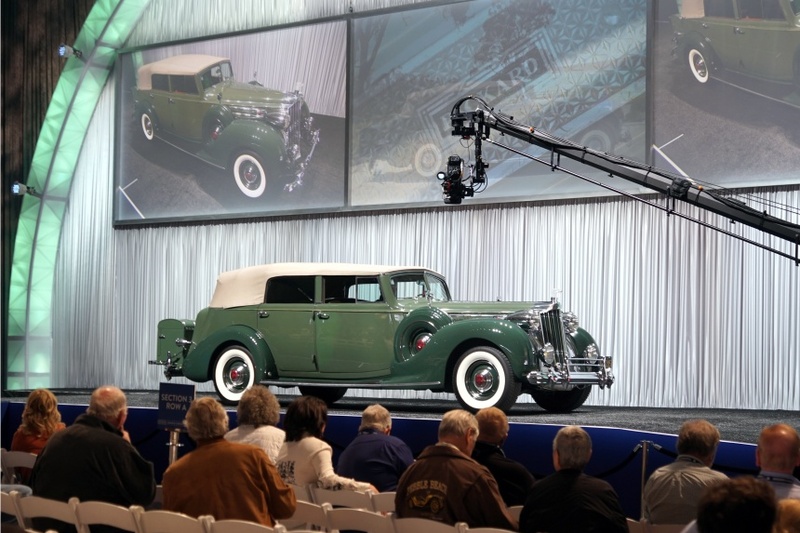 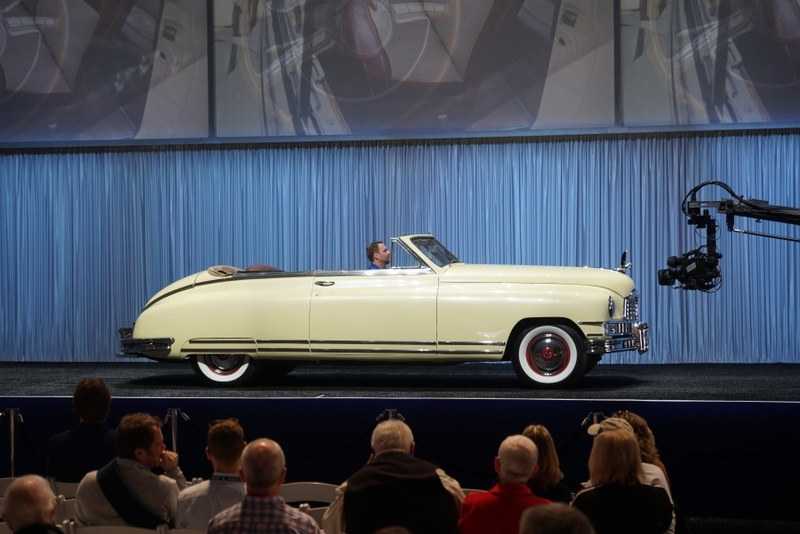 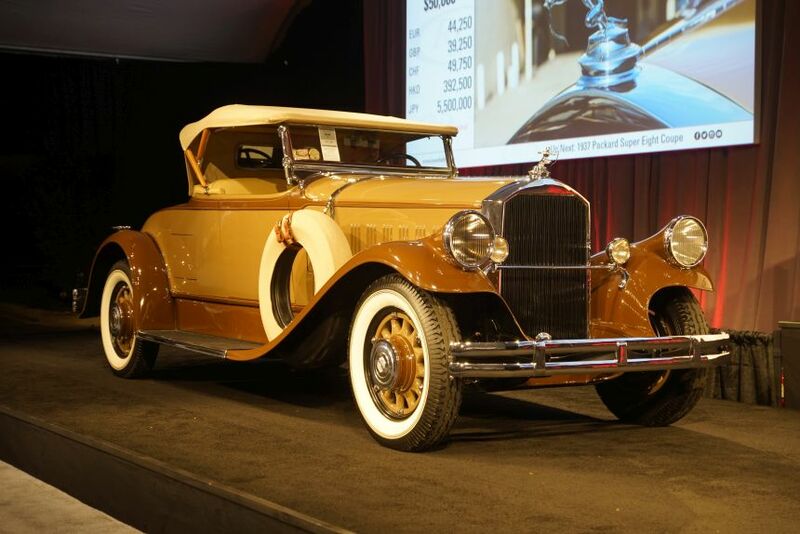 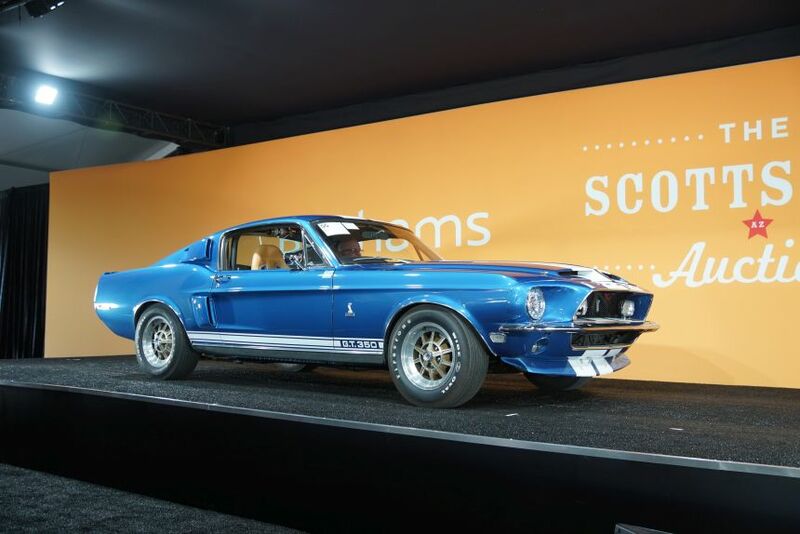 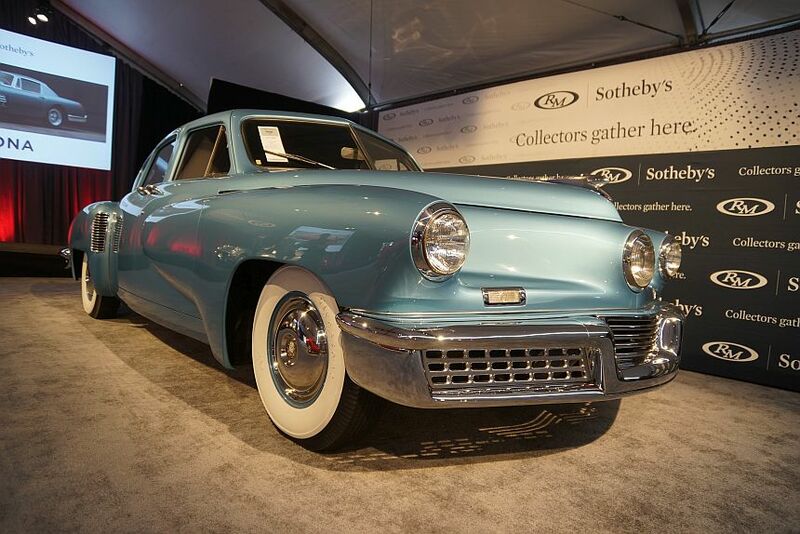 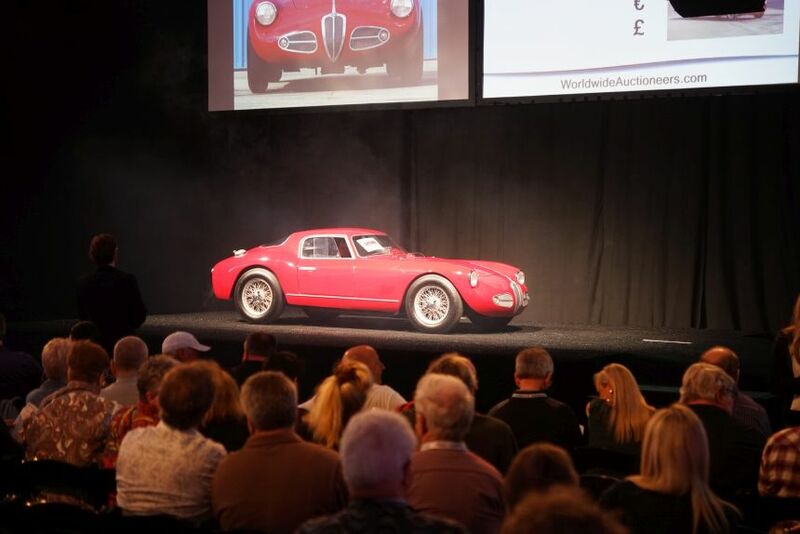 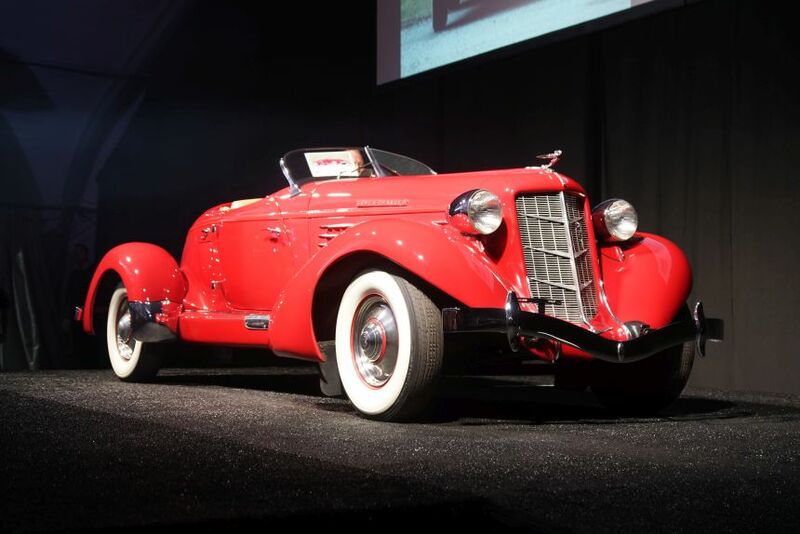 Worldwide Auctioneers, in only their third year in Scottsdale, compiled an impressive collection of classic cars for their Scottsdale auction. 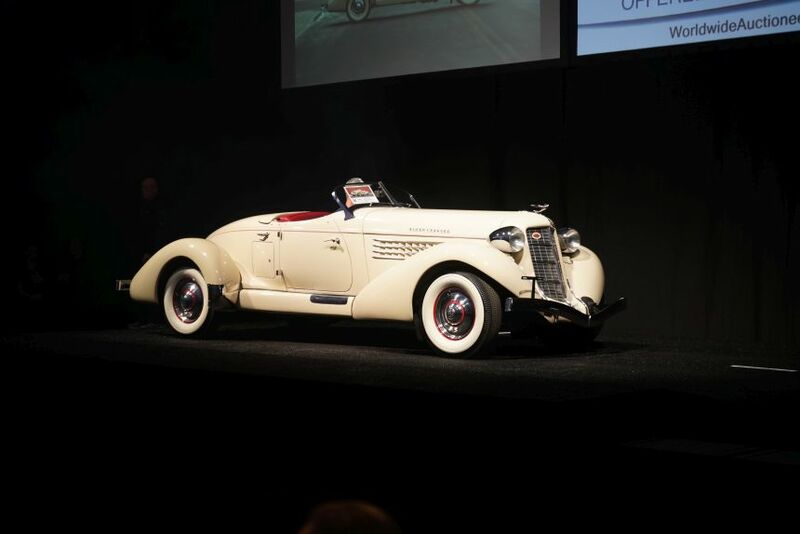 Here’s a glimpse of some of them, including the 1935 Auburn 851 SC Boattail Speedster, which sold for $687,500. 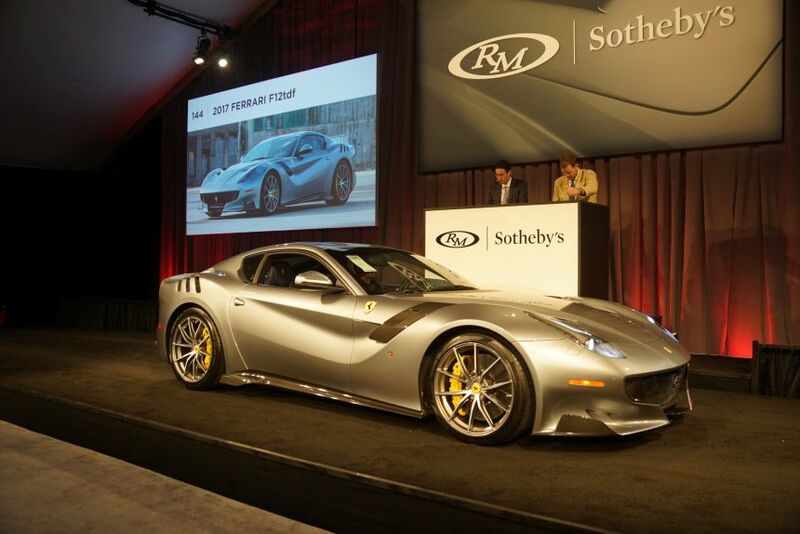 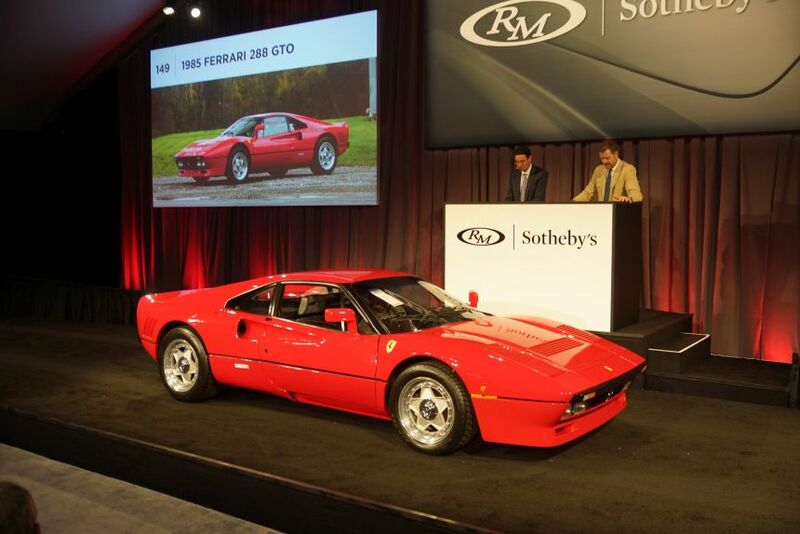 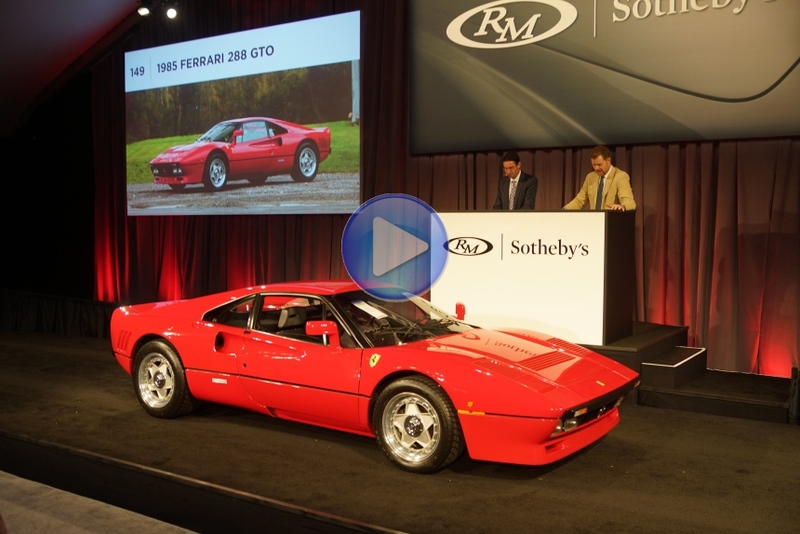 Here’s a look at RM Sotheby’s offerings at their Scottsdale auction, including their top sale, the 1985 Ferrari 288 GTO, which sold for $3,360,000. 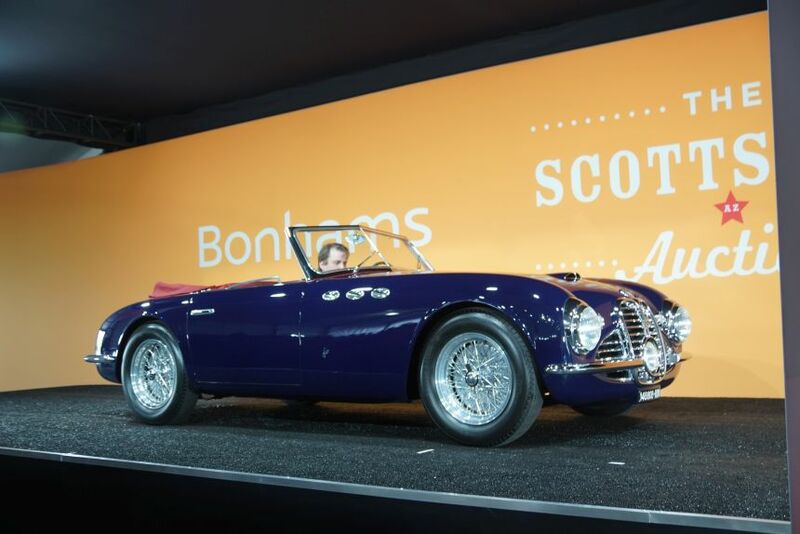 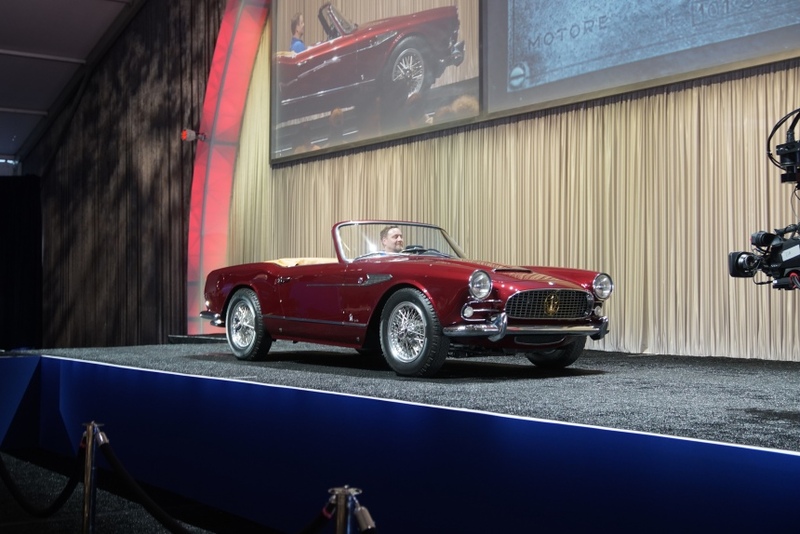 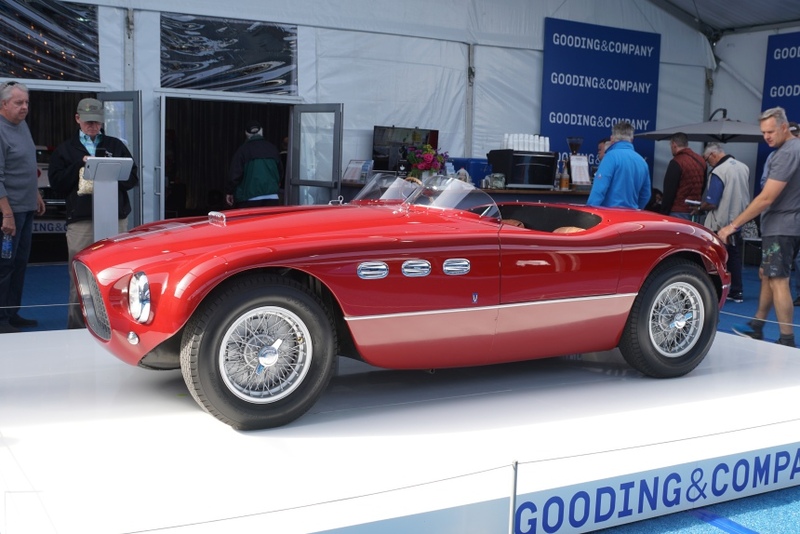 The 8th annual Bonhams auction was highlighted by the sale of a 1952 Maserati A6G 2000 Frua Spider. 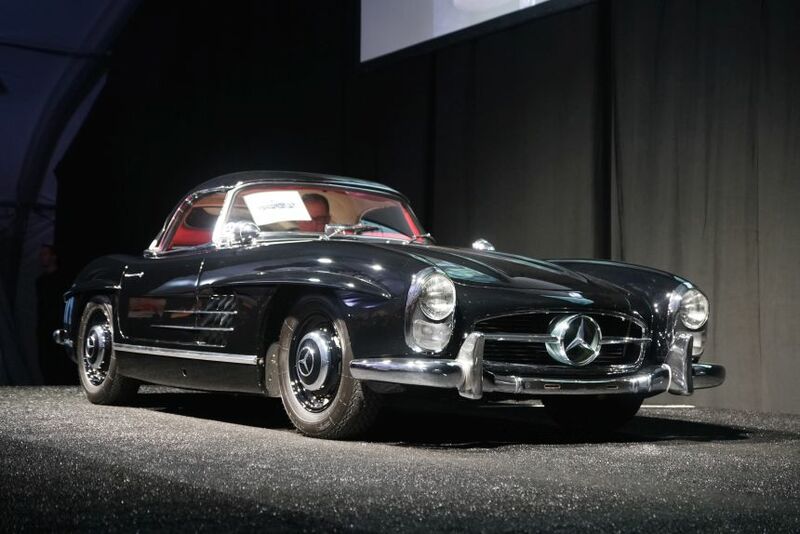 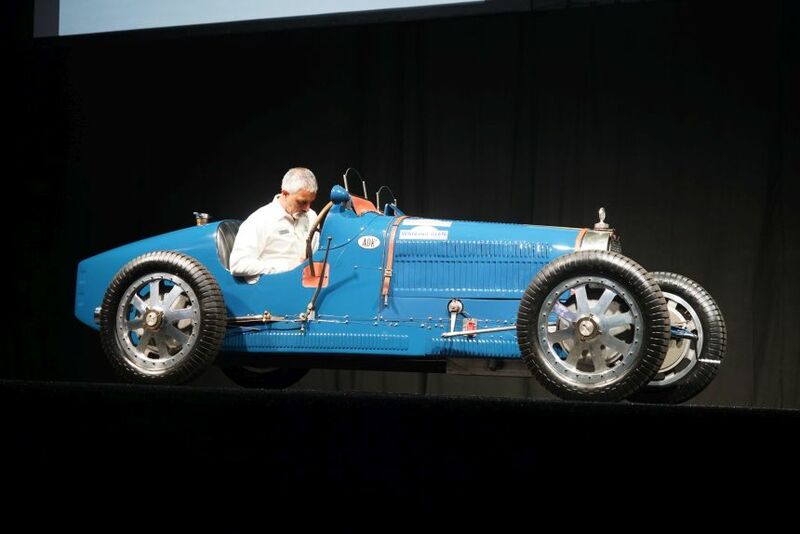 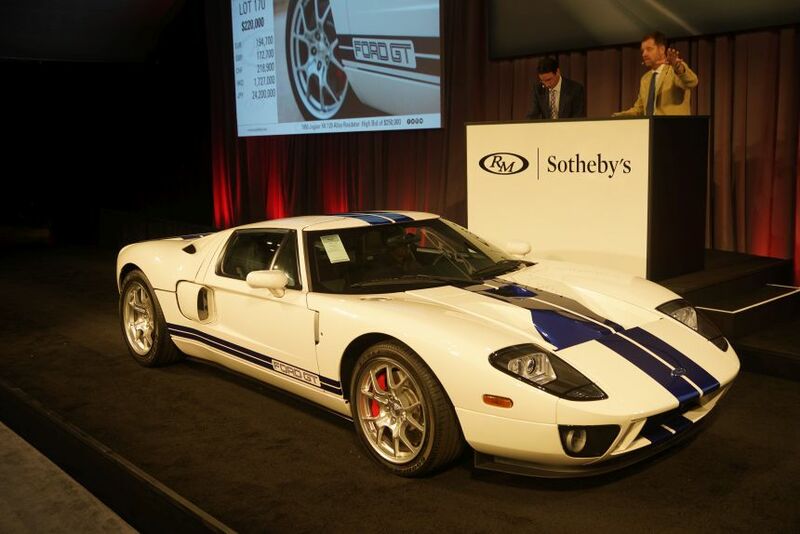 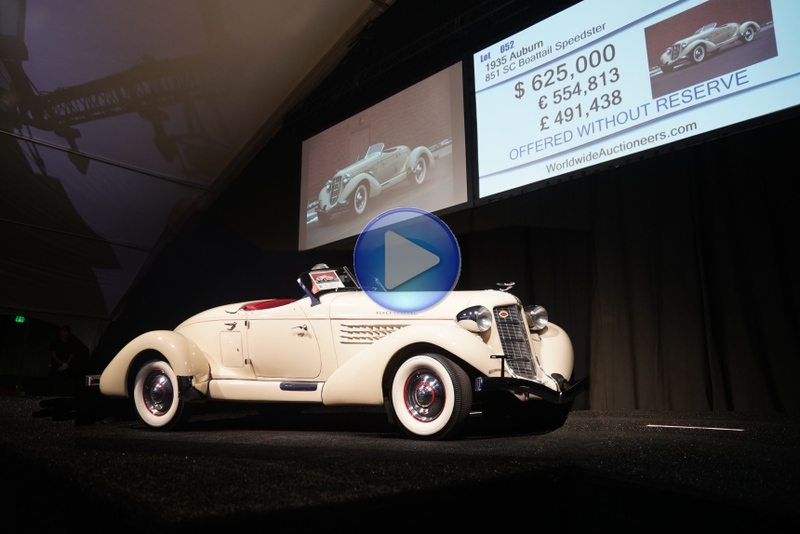 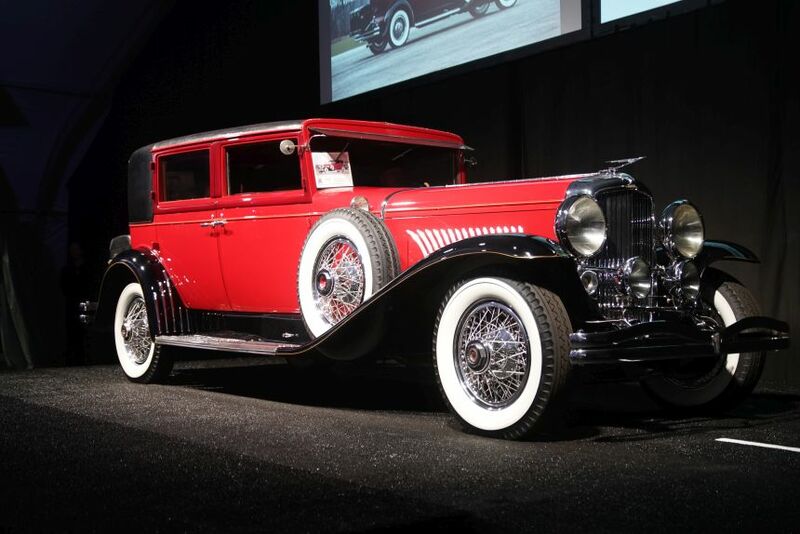 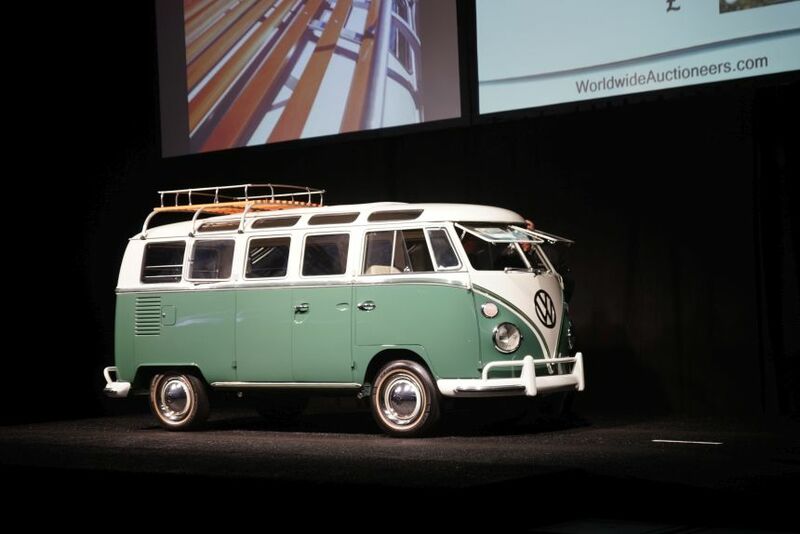 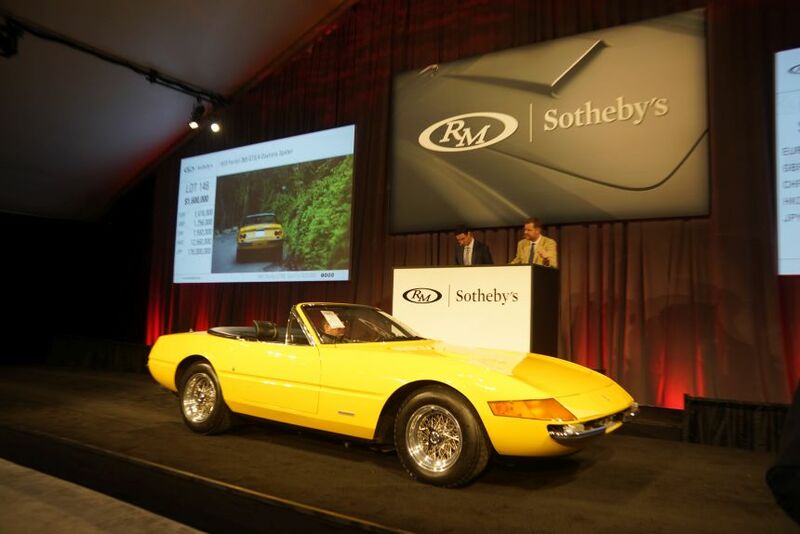 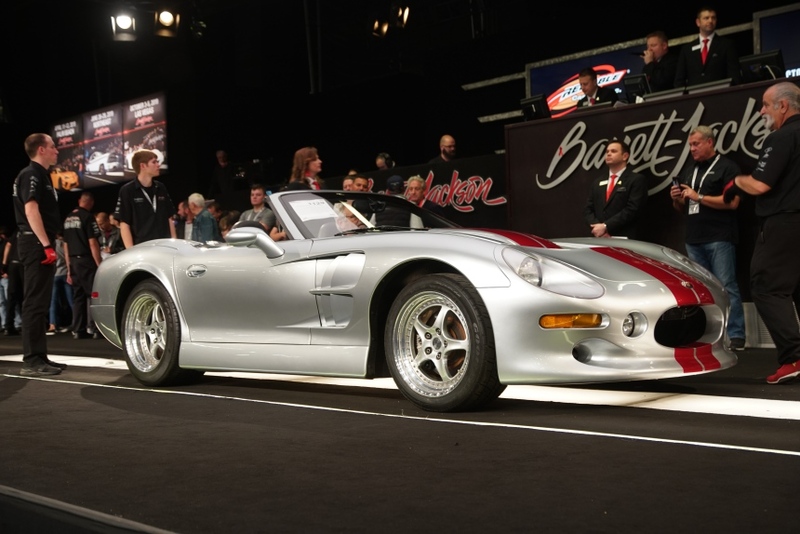 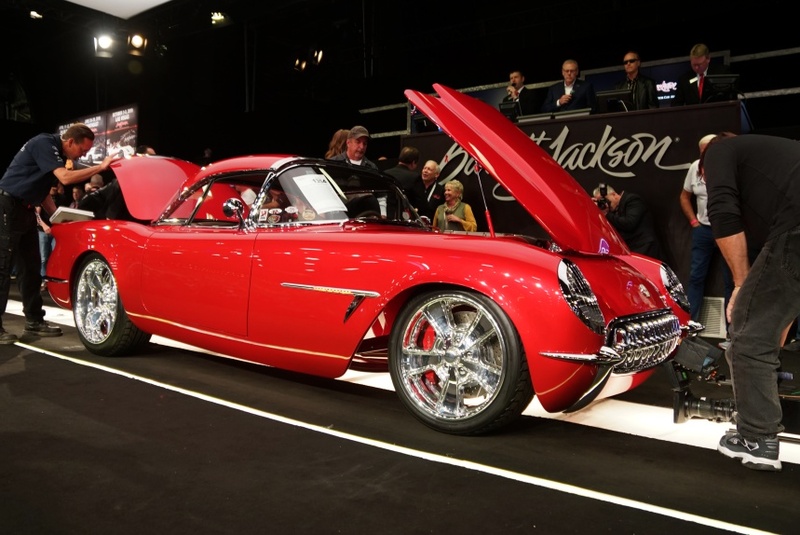 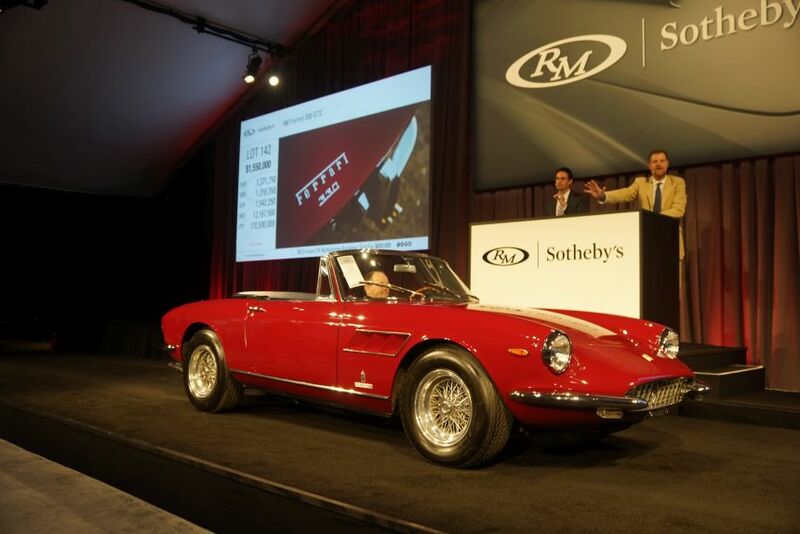 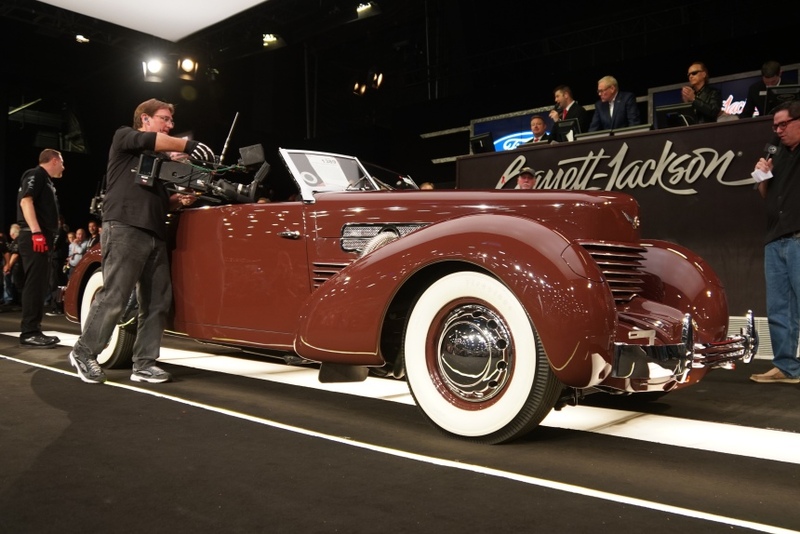 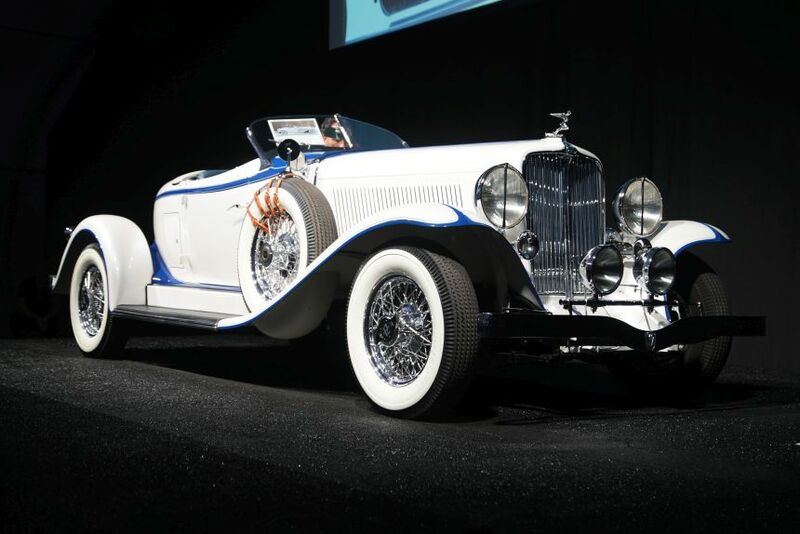 As the only surviving example of its kind, it set an all-time record price of $2,755,000. 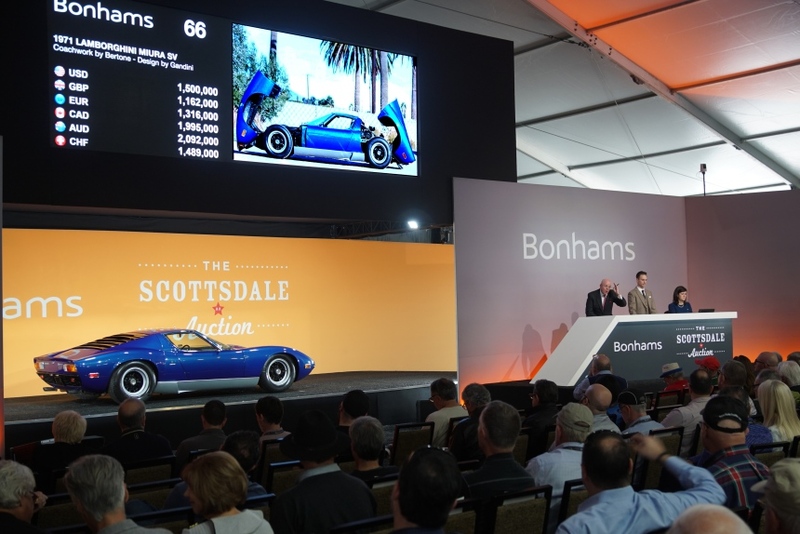 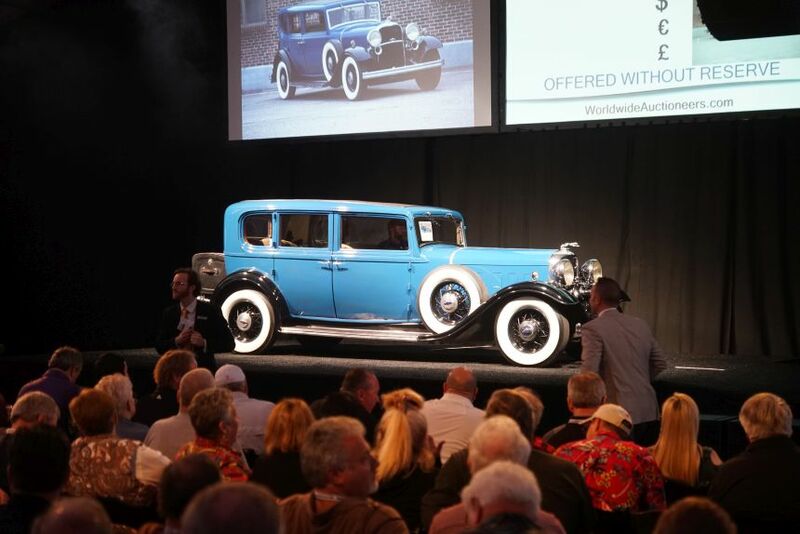 “Our sale was well supported and featured a large number of cars without reserve creating multiple bidders throughout and a very respectable rate of sale. 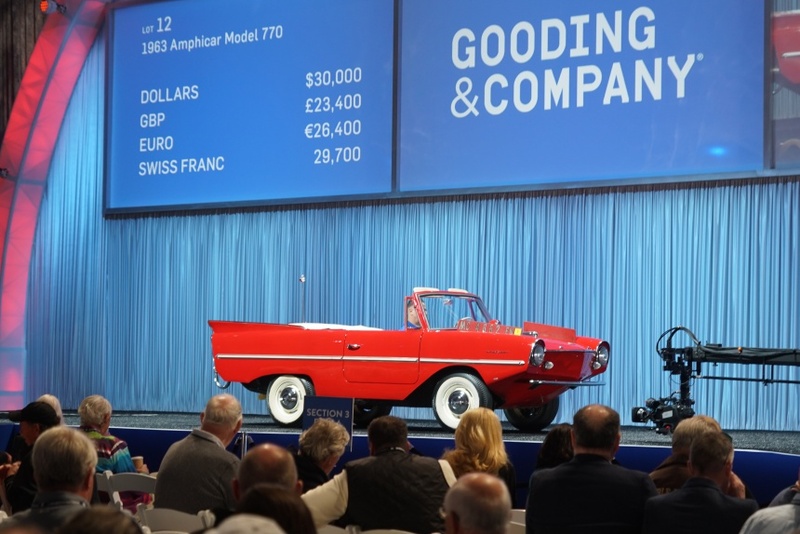 It’s a discerning market at the moment and while we weren’t able to conclude sales on a couple of the bigger cars, we sold nearly all the cars on offer and achieved some impressive results and auction records along the way,” said Rupert Banner, Motoring Group Director. 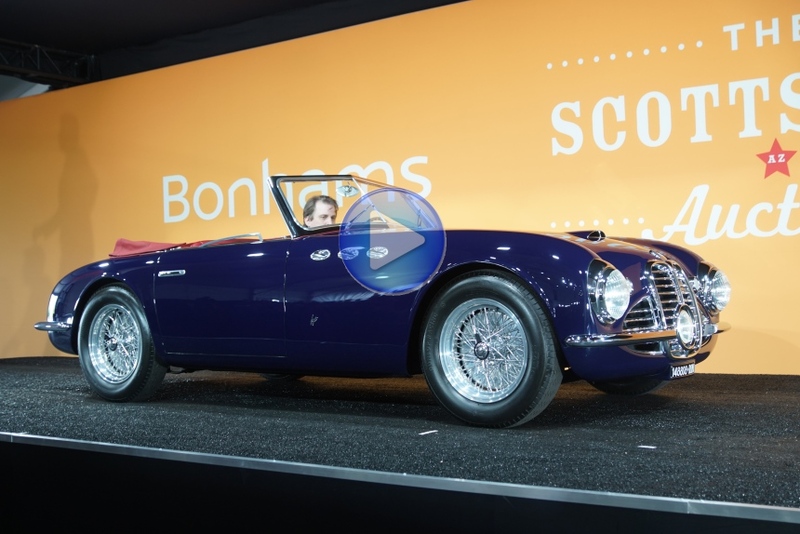 Here’s a glimpse of some of the classics in Bonhams auction, including the 1951 Maserati A6G/2000 Spider. 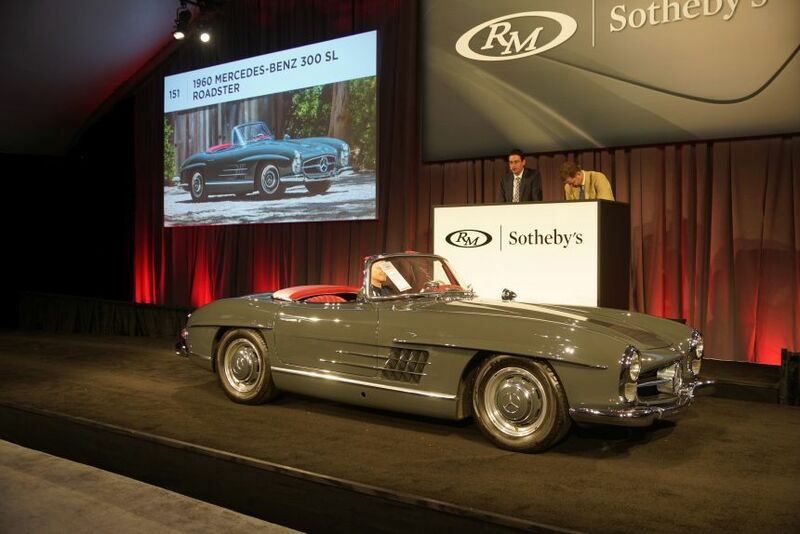 It sold here for $2,755,000. 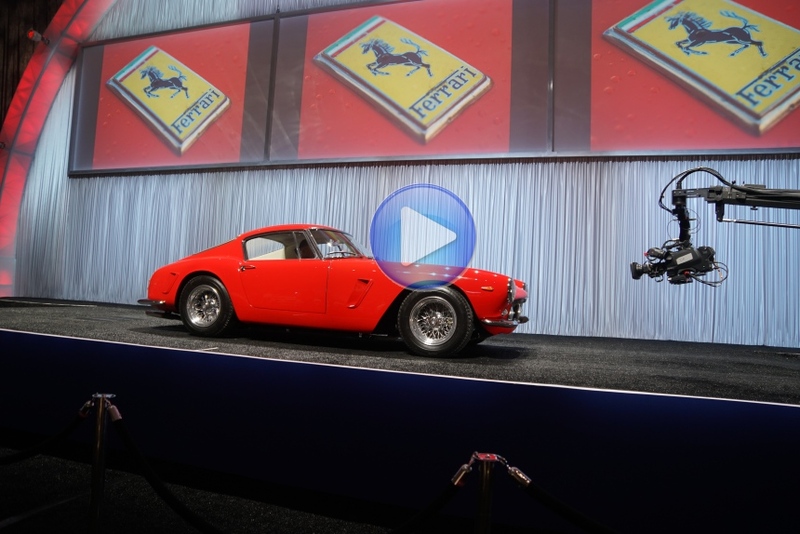 Here’s a glimpse of some of the classics in Gooding & Company auction, including the 1963 Ferrari 250 GT SWB Berlinetta, which sold for $7,595,000. 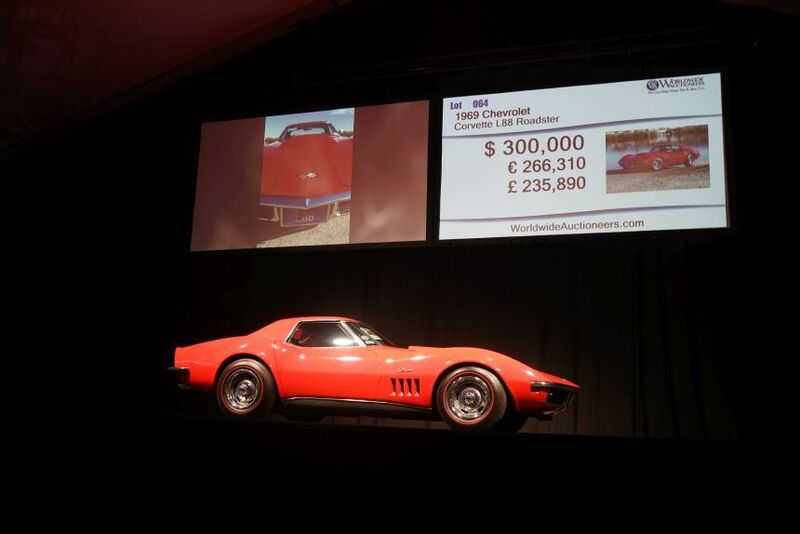 All prices include buyers commission, where applicable.